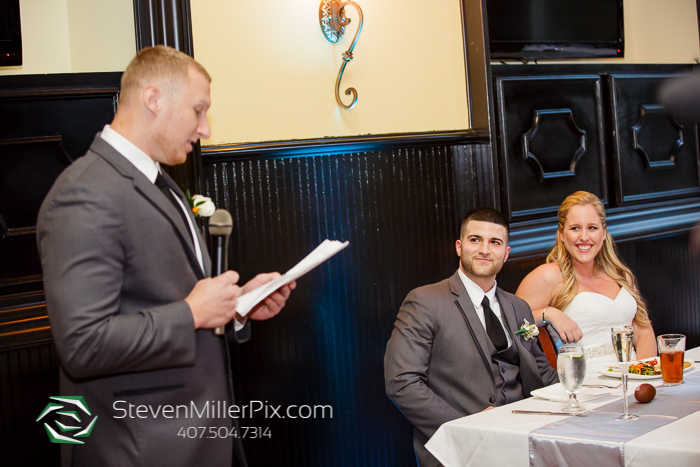 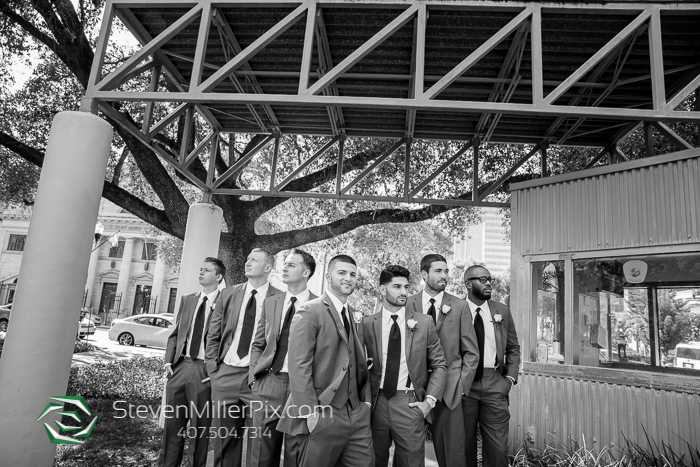 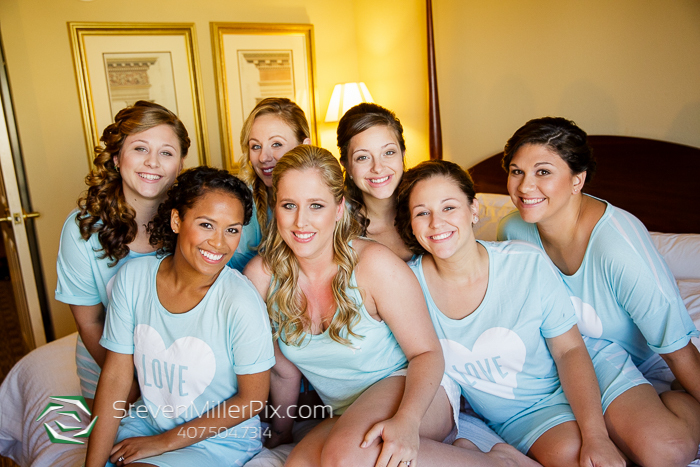 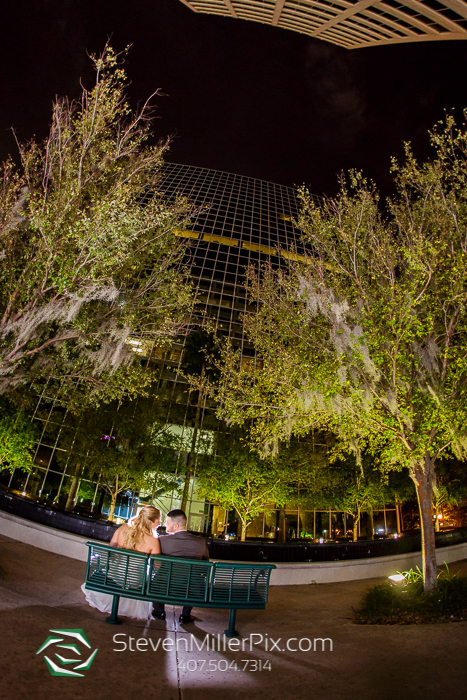 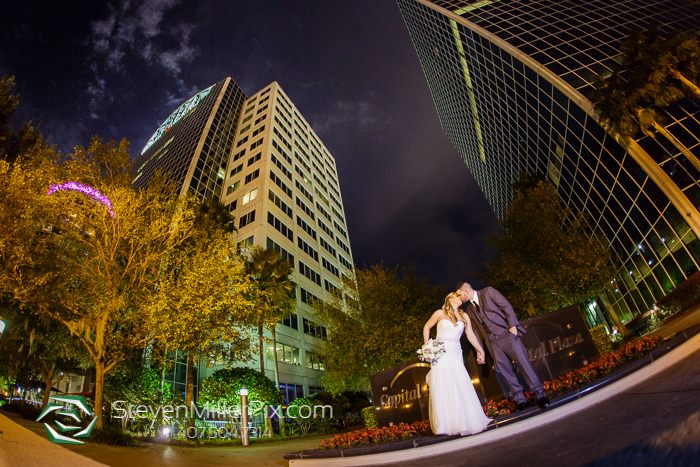 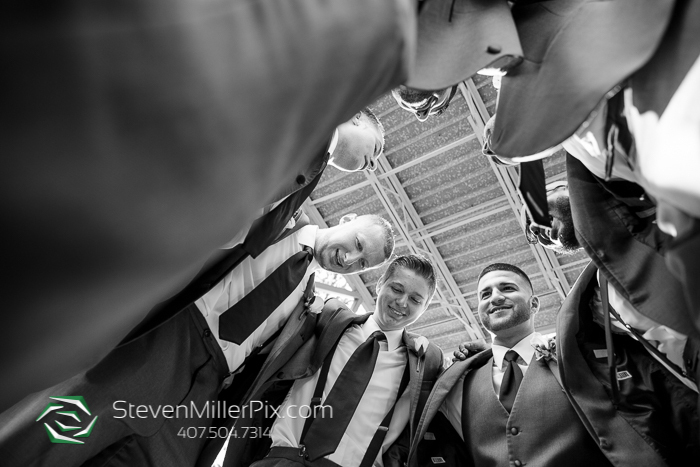 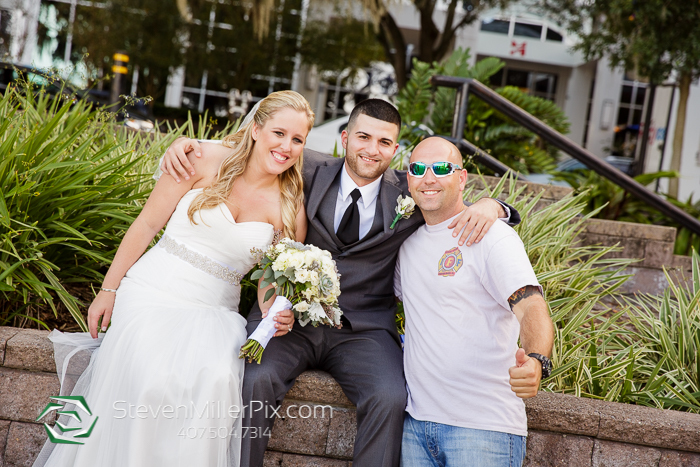 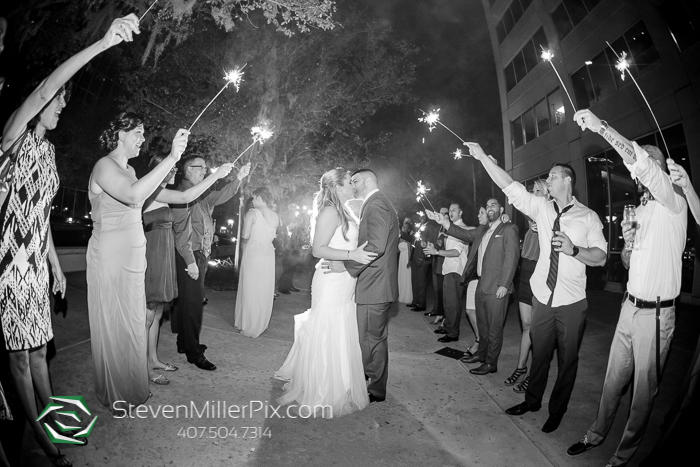 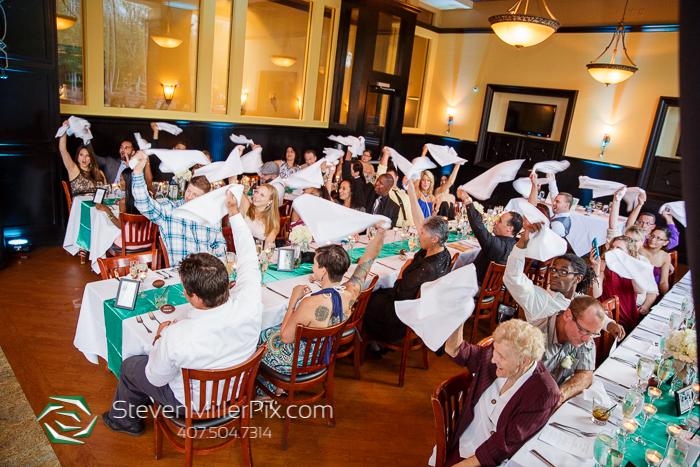 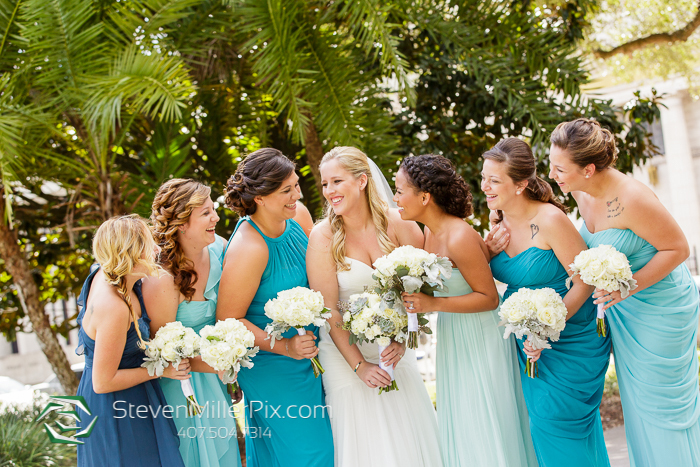 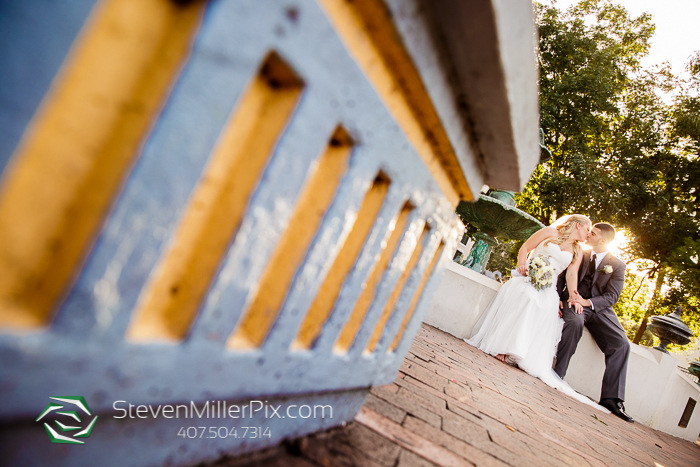 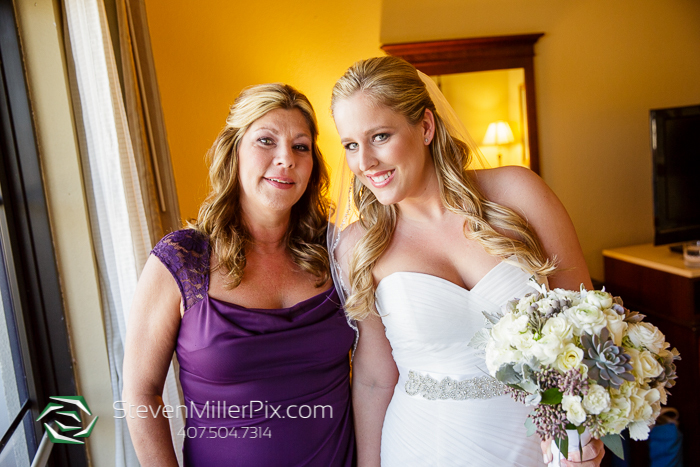 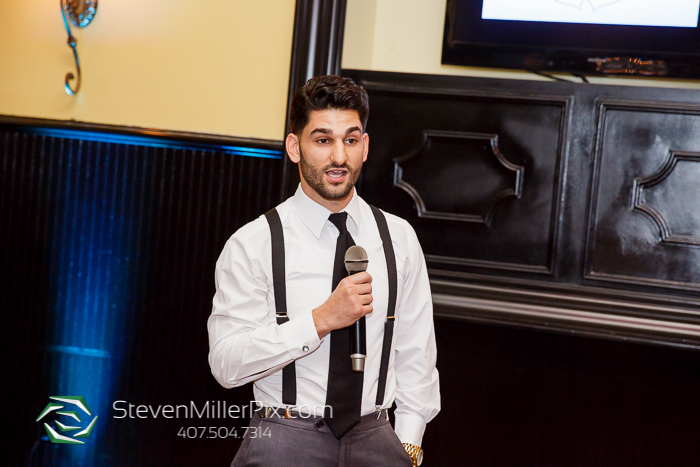 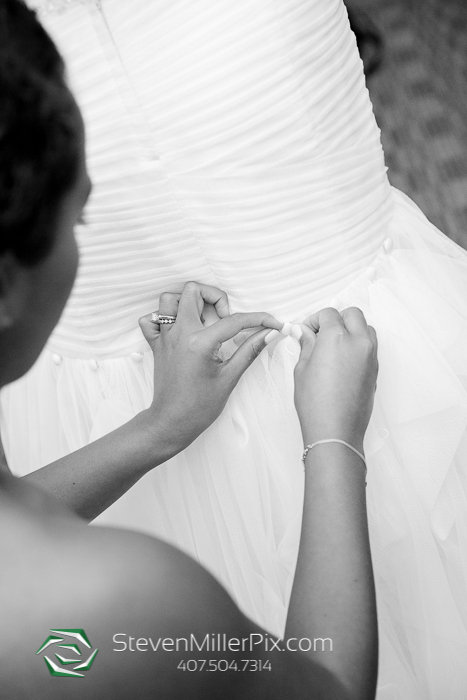 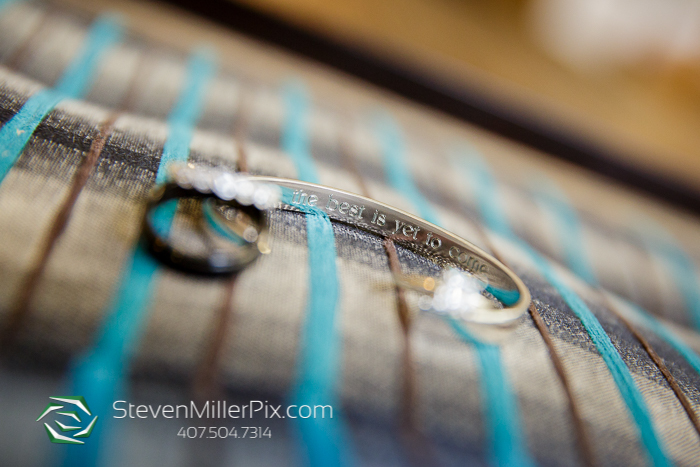 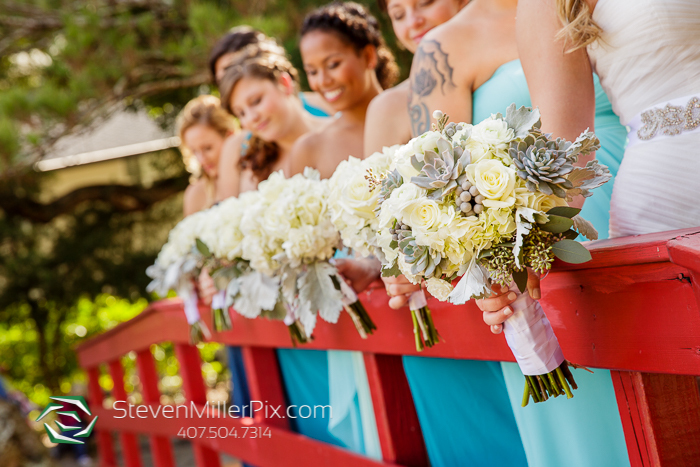 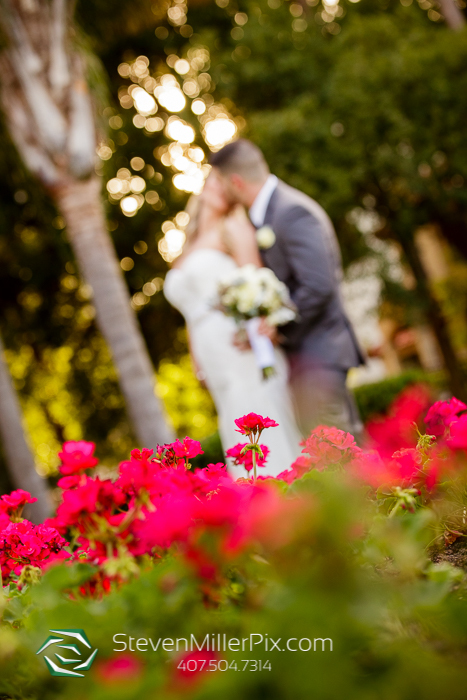 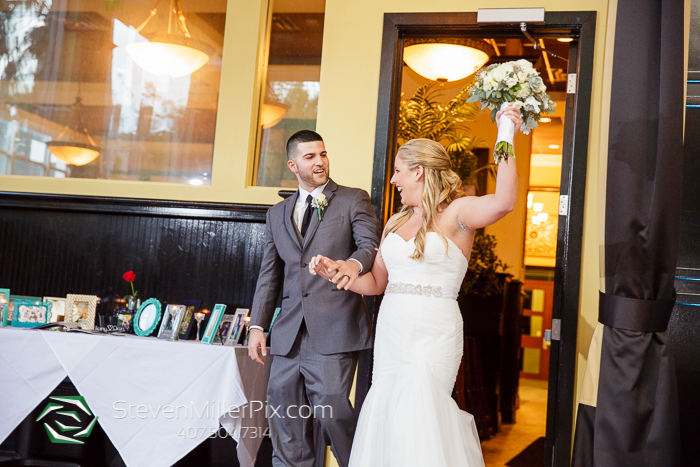 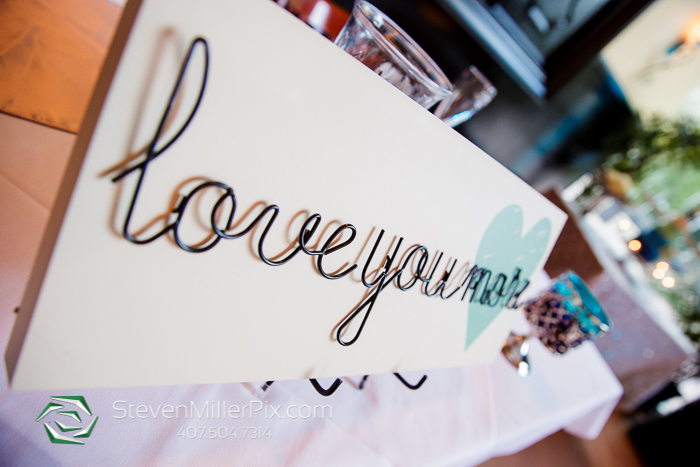 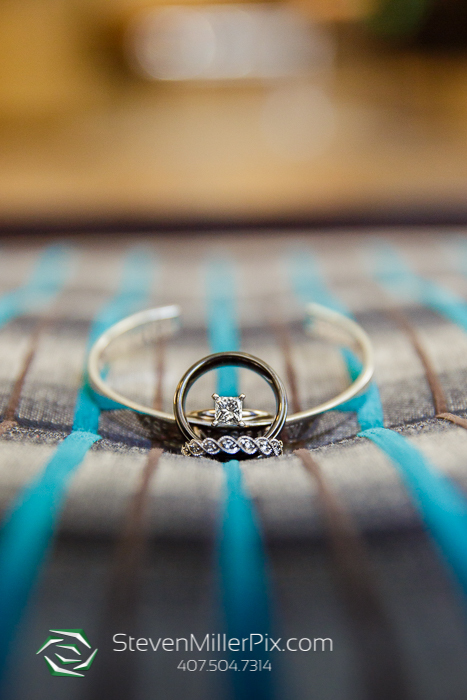 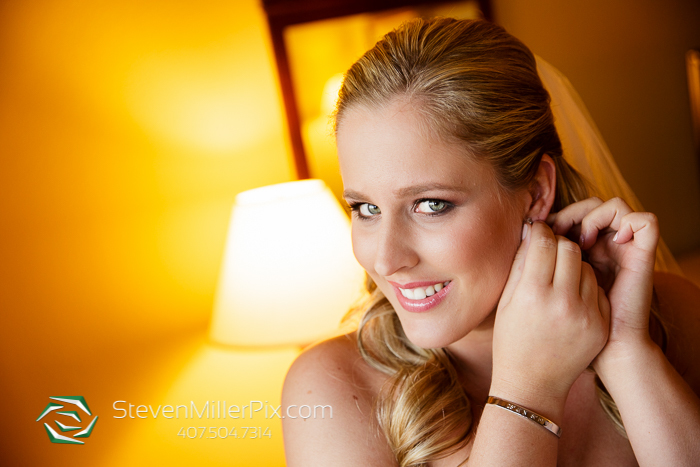 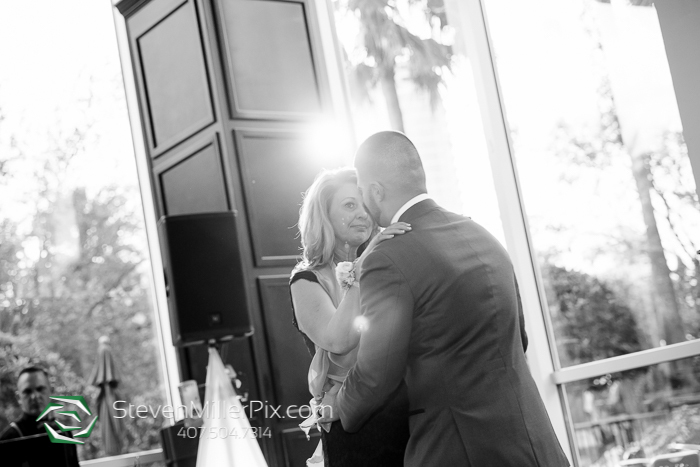 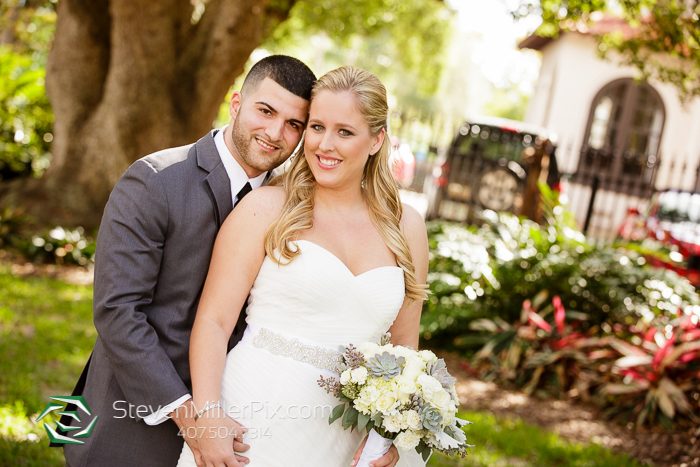 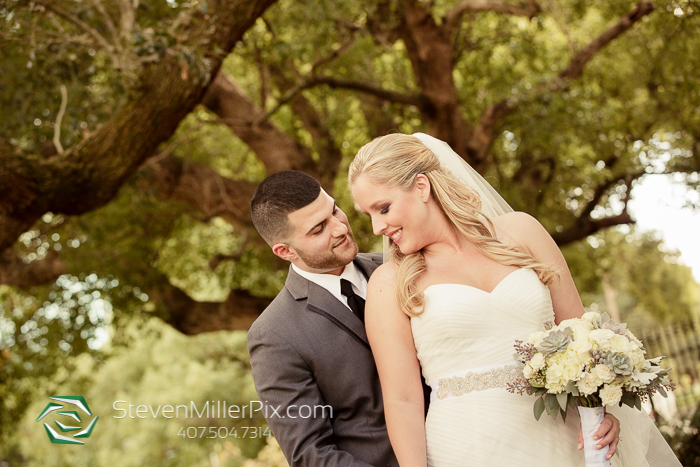 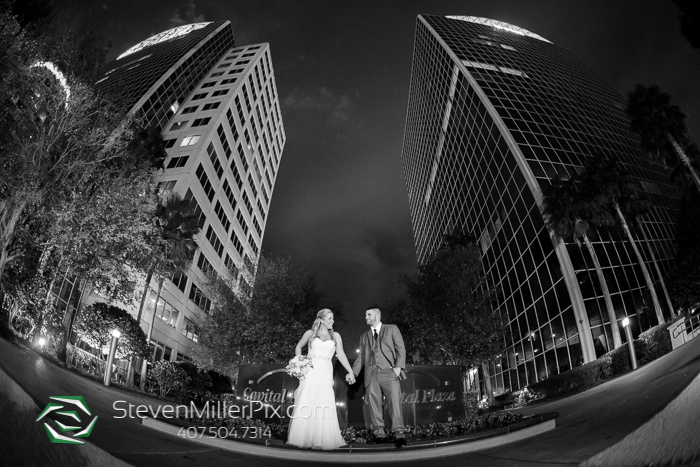 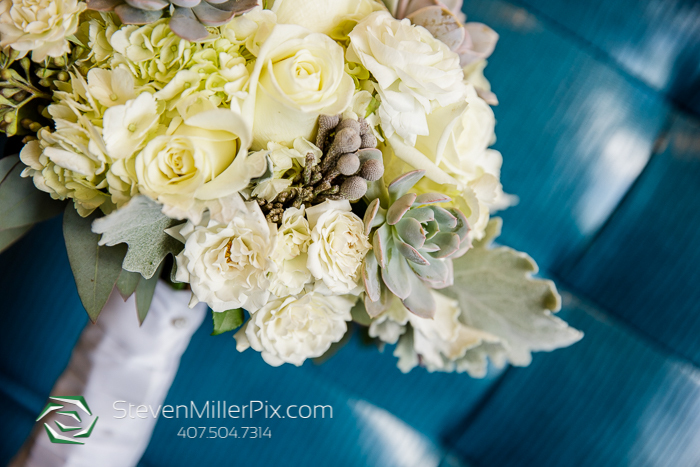 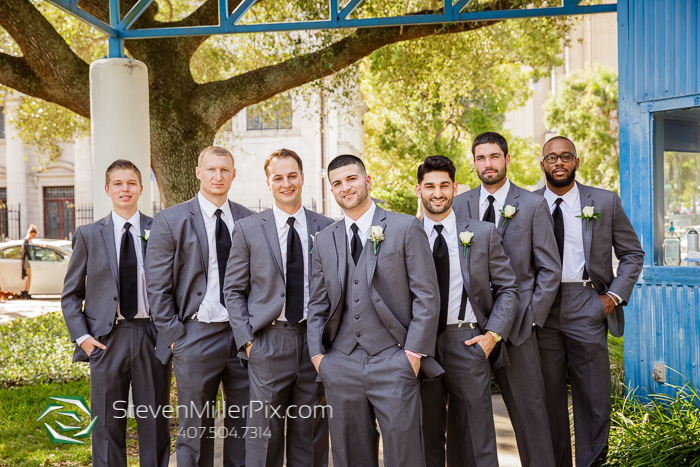 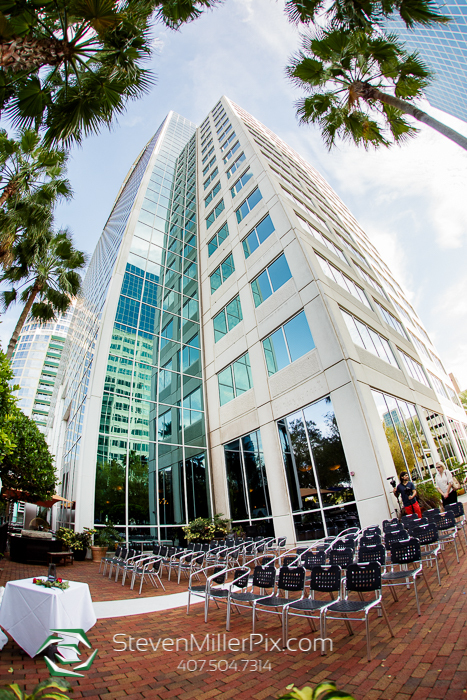 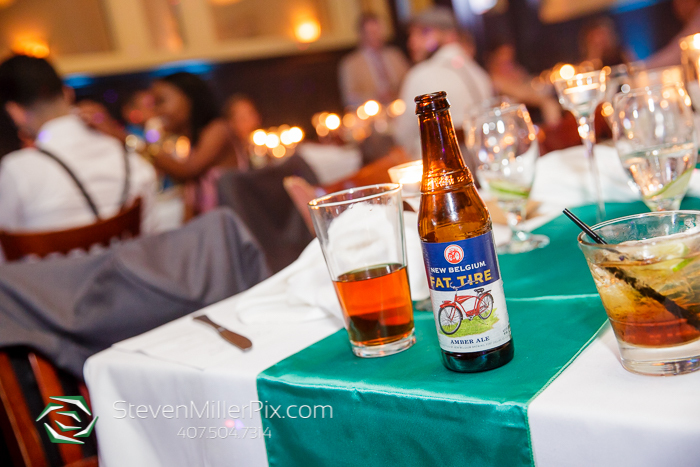 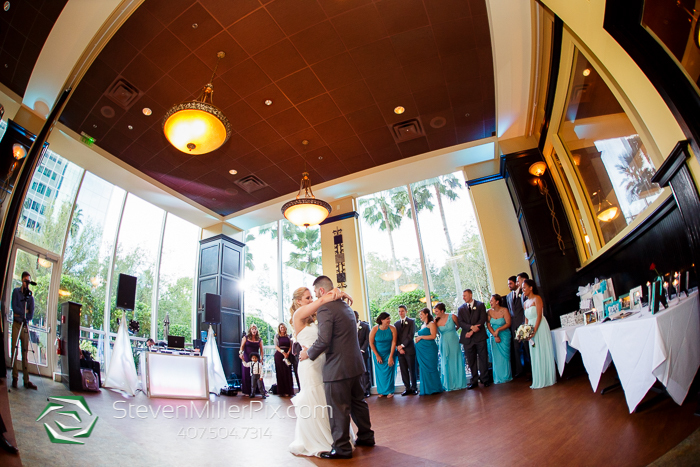 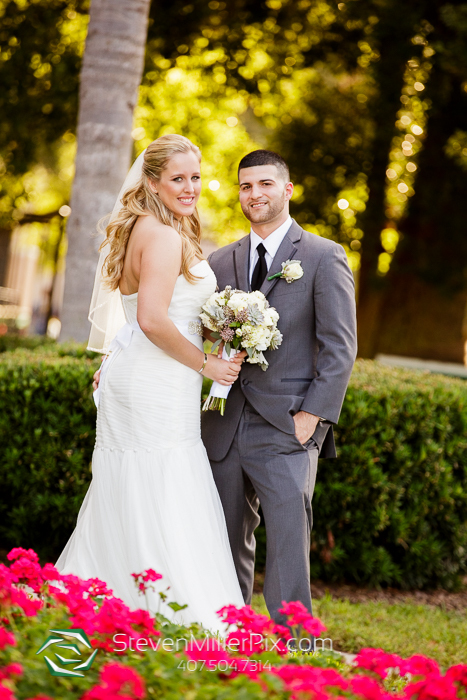 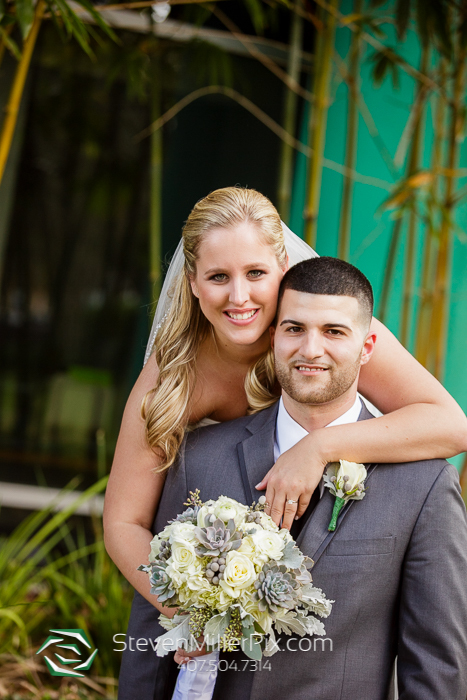 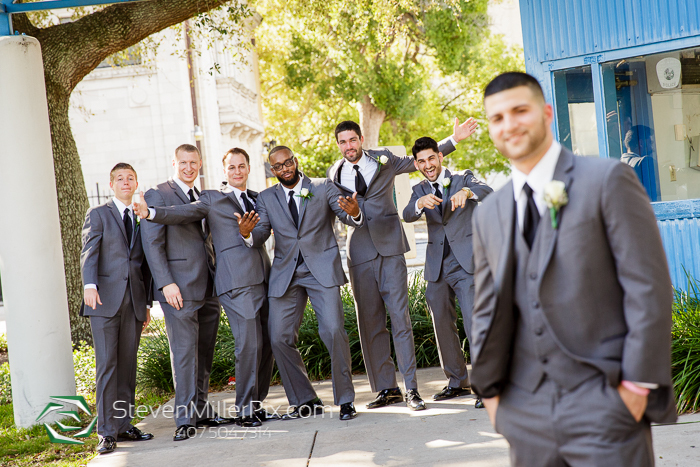 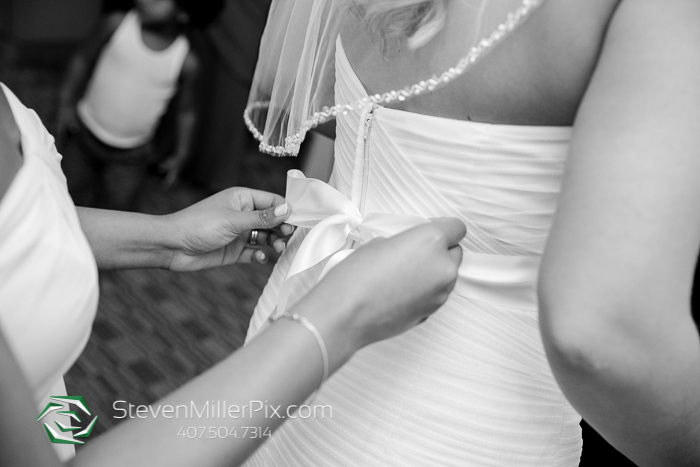 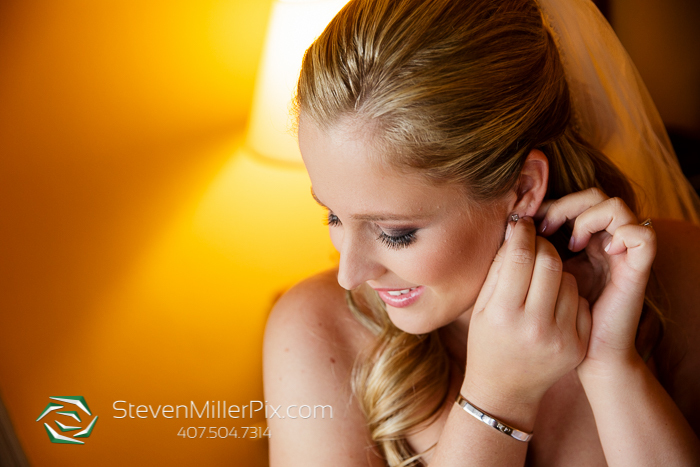 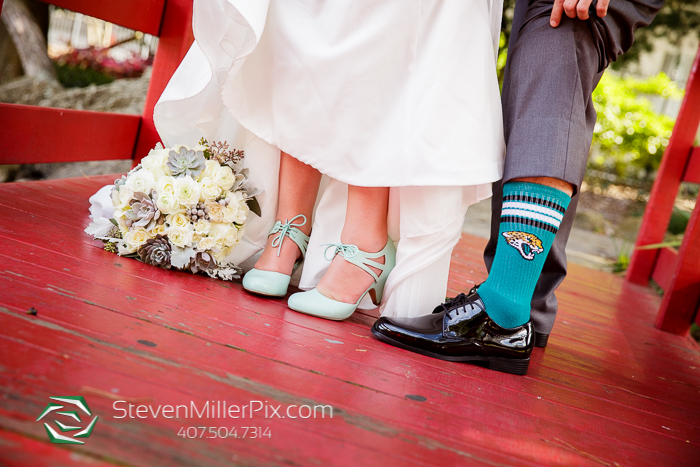 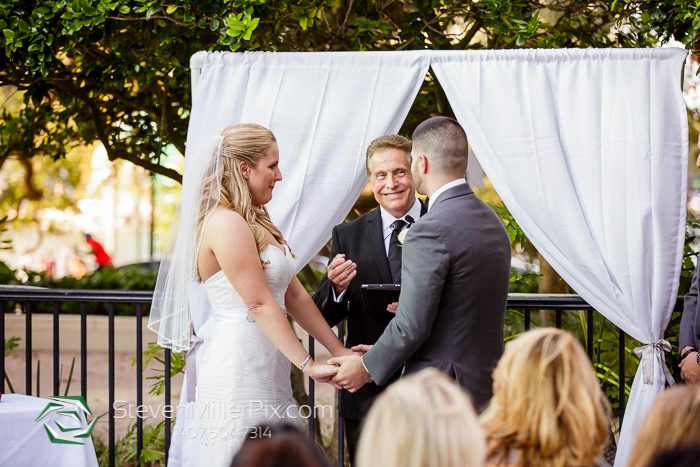 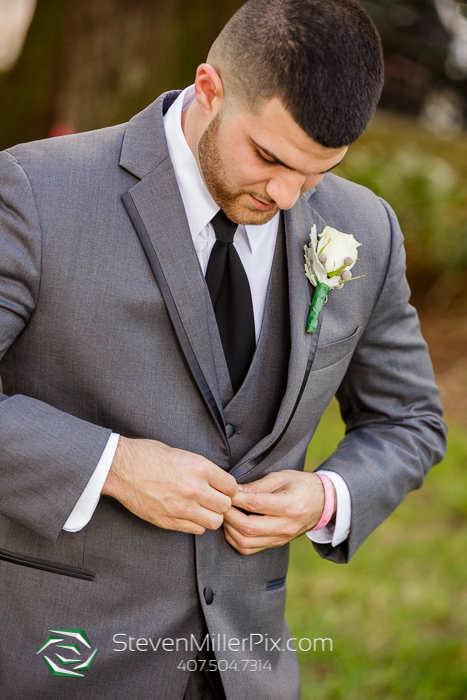 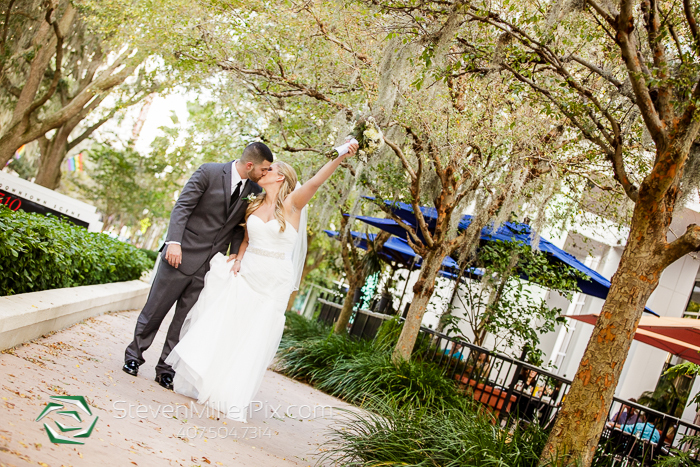 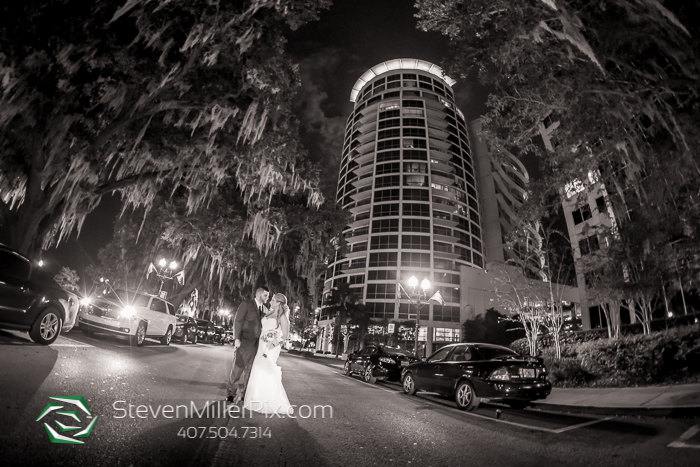 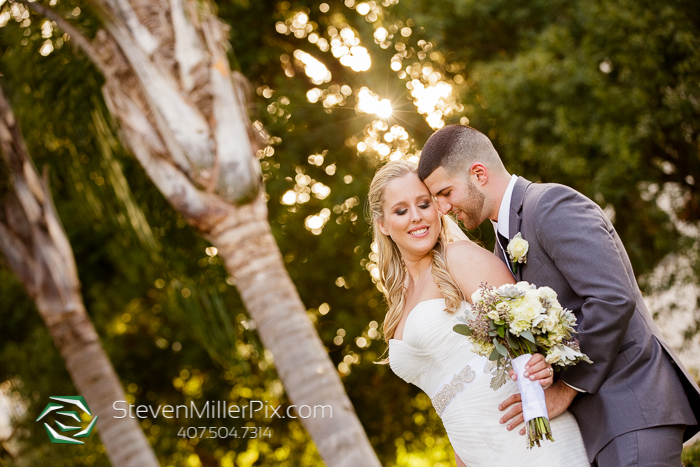 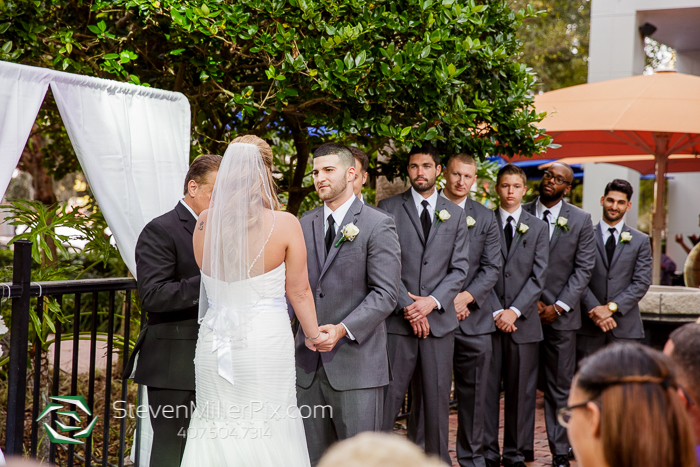 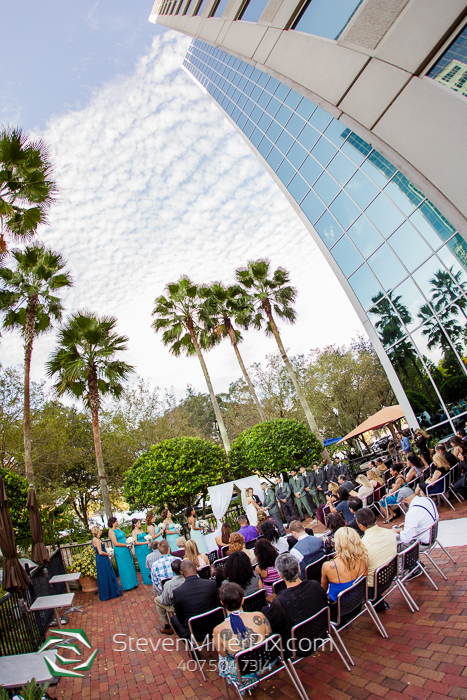 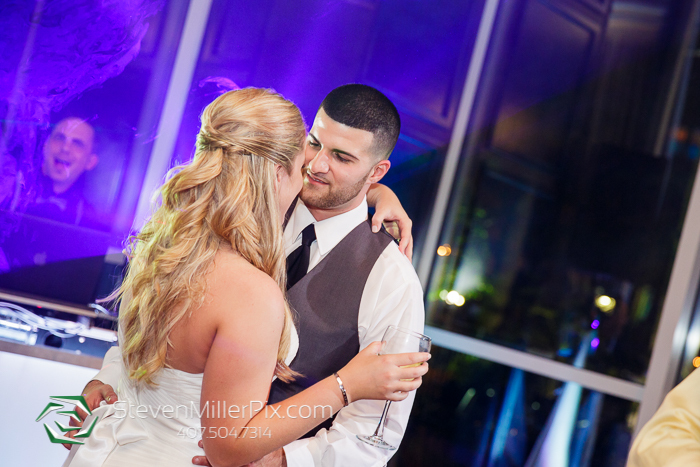 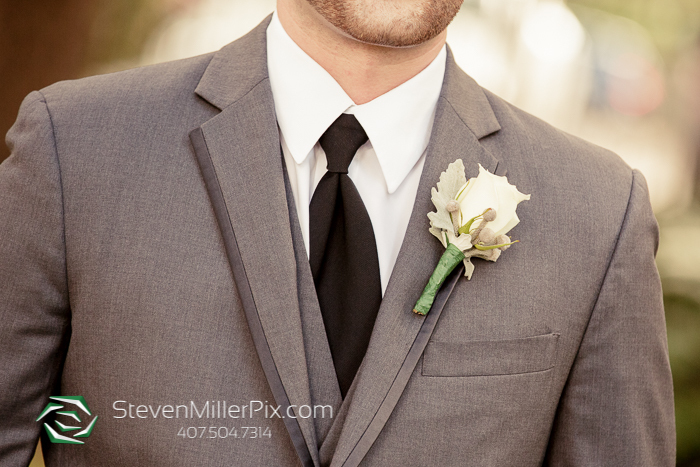 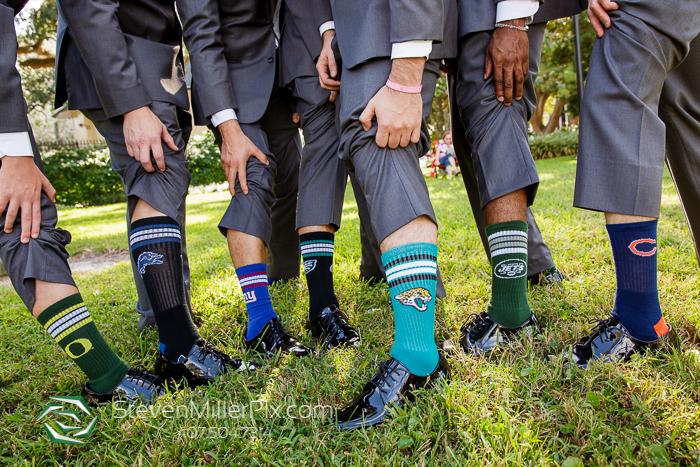 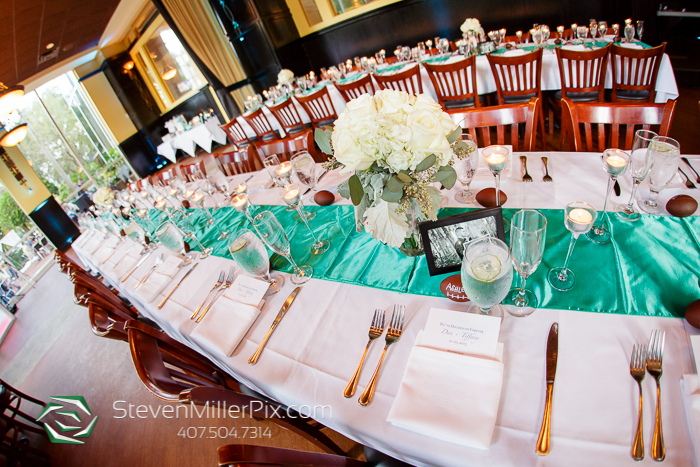 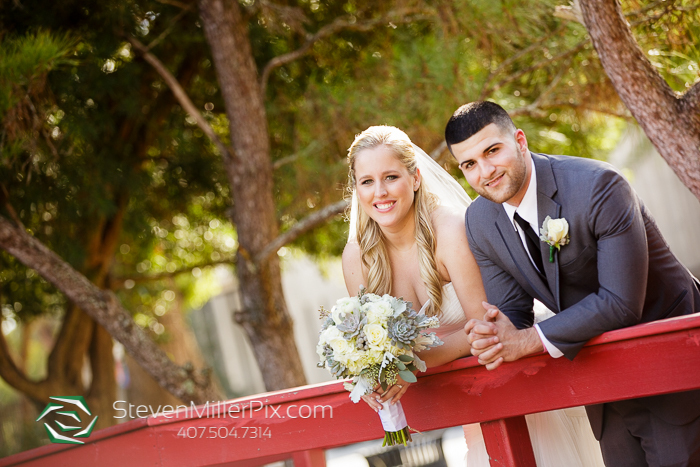 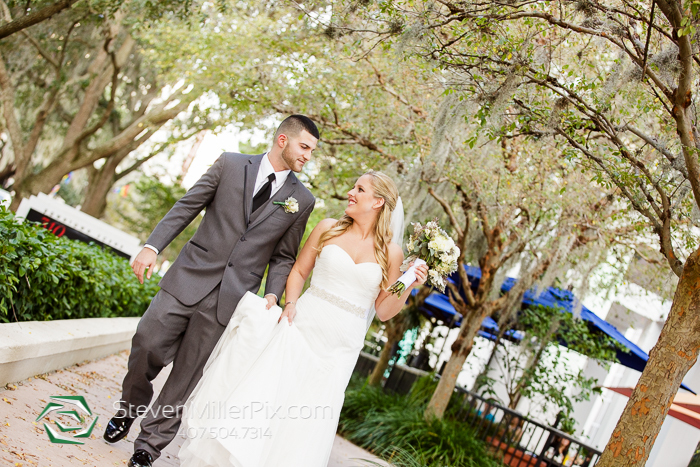 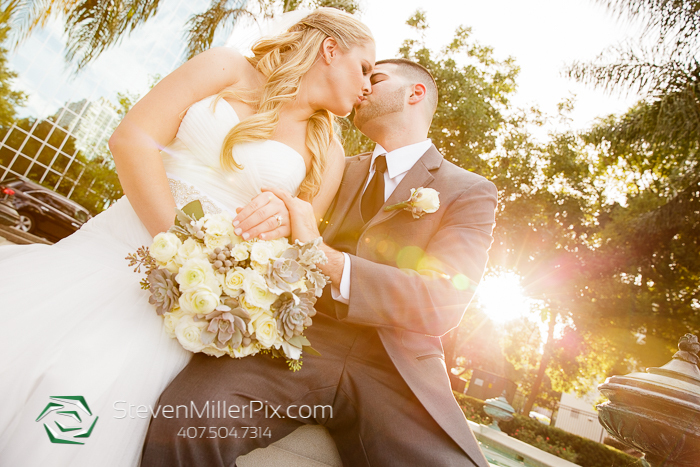 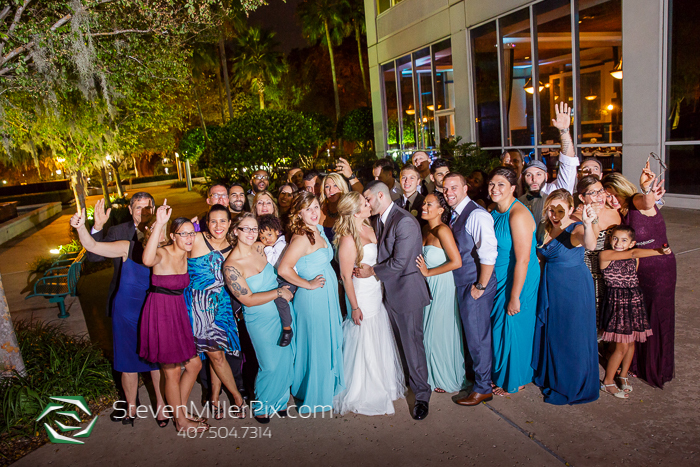 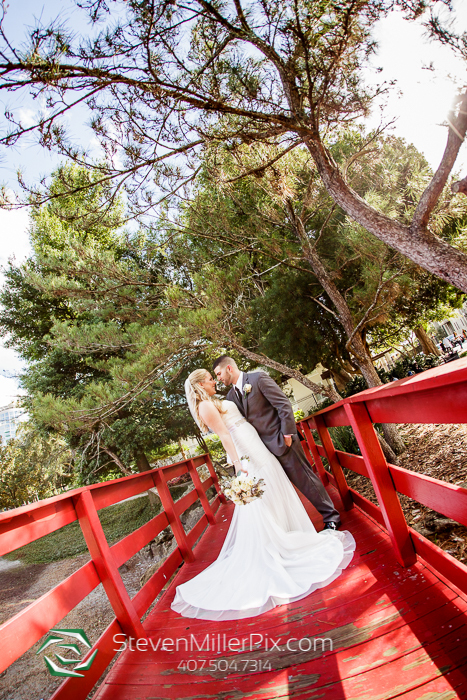 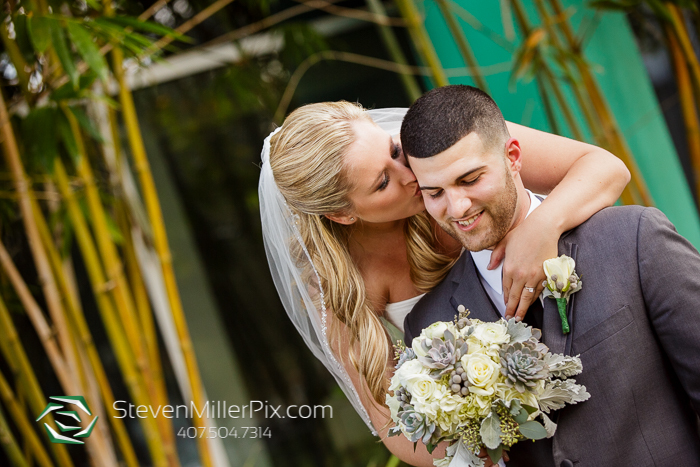 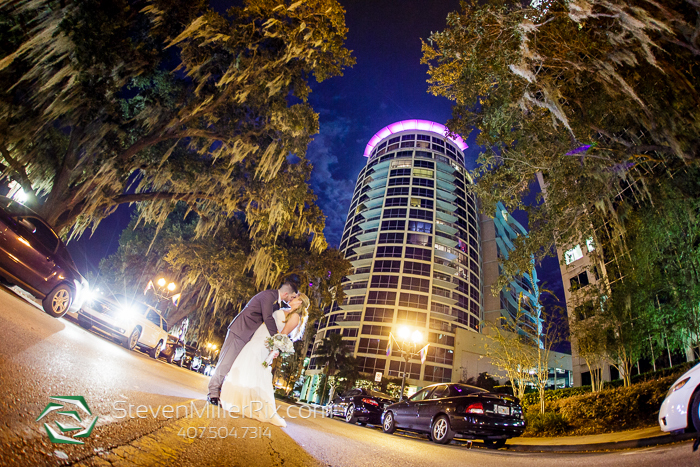 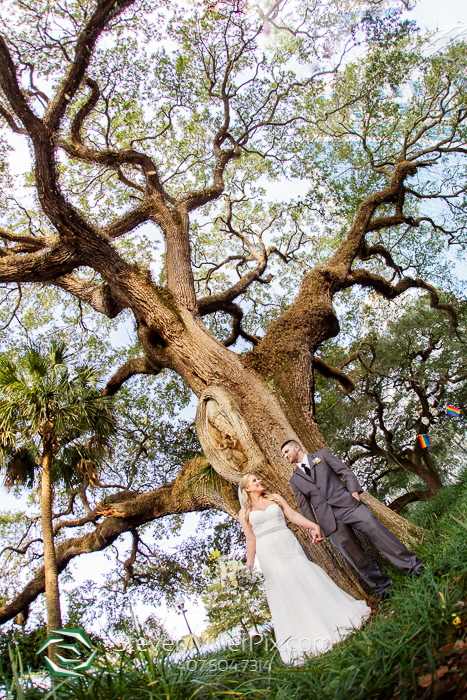 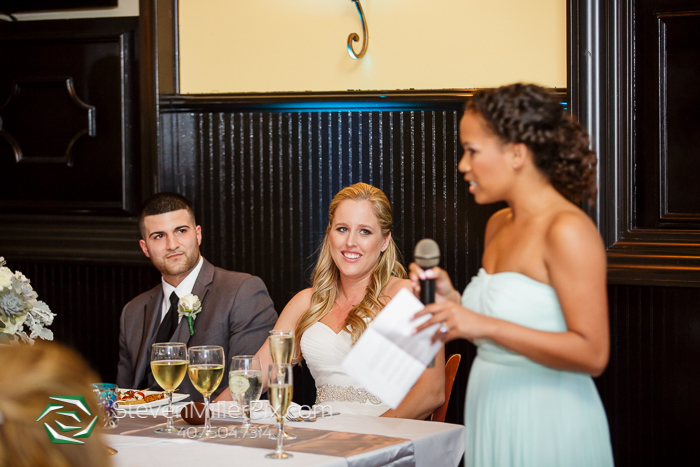 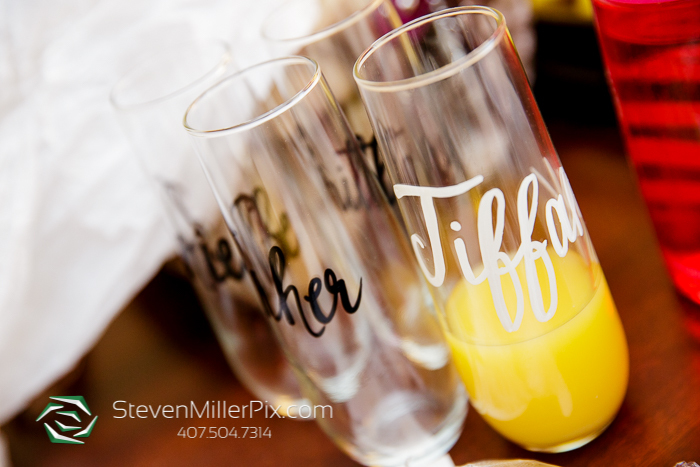 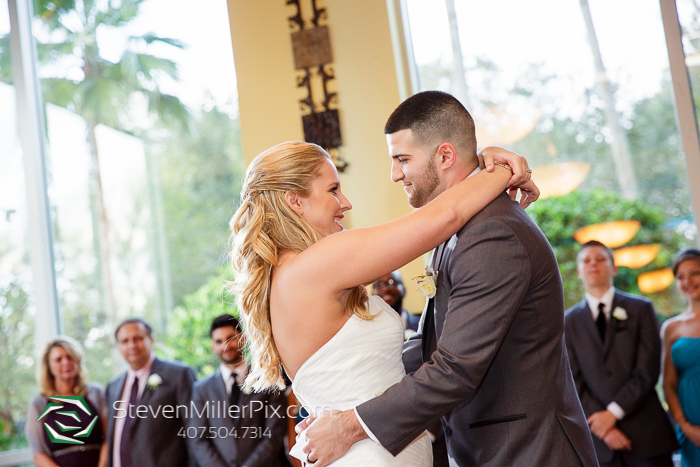 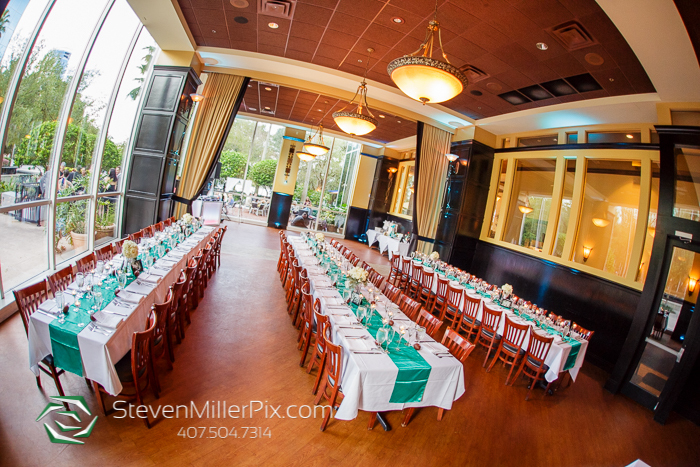 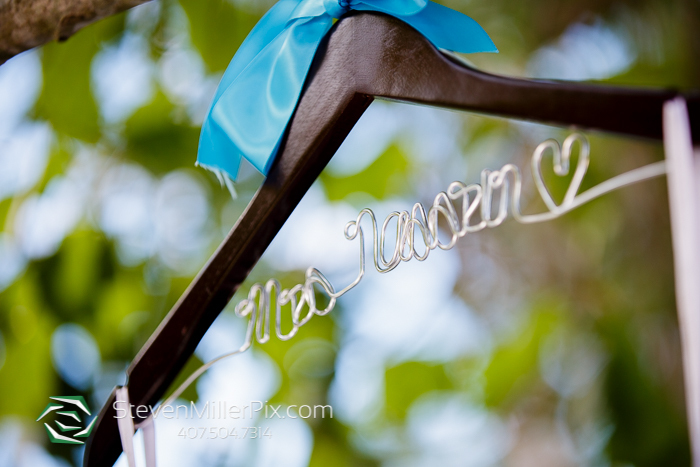 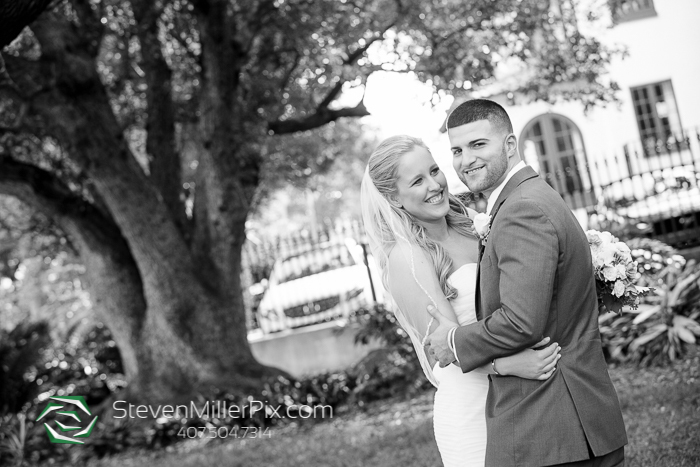 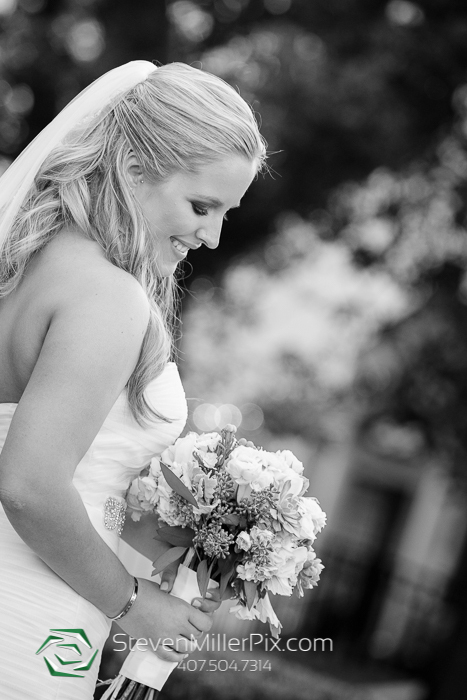 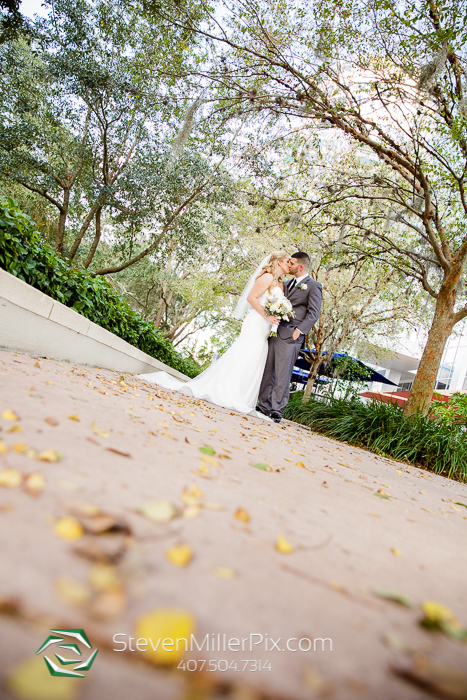 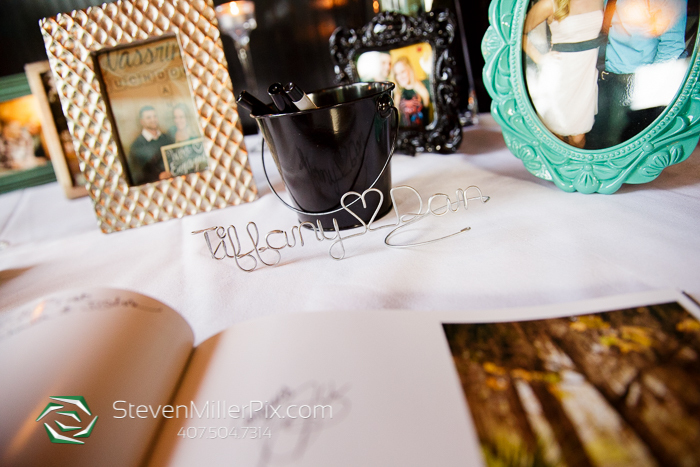 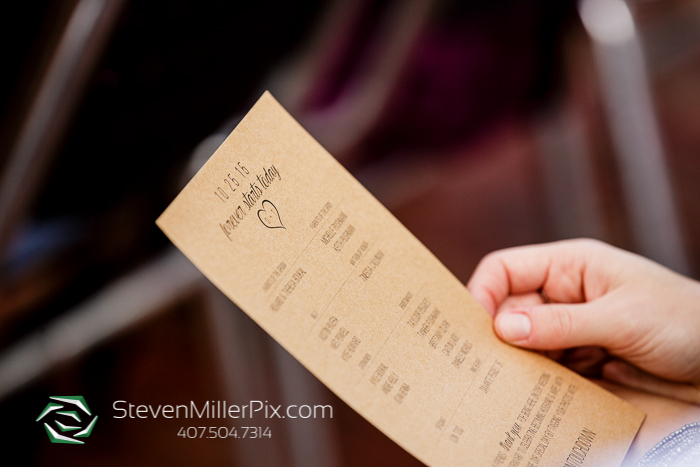 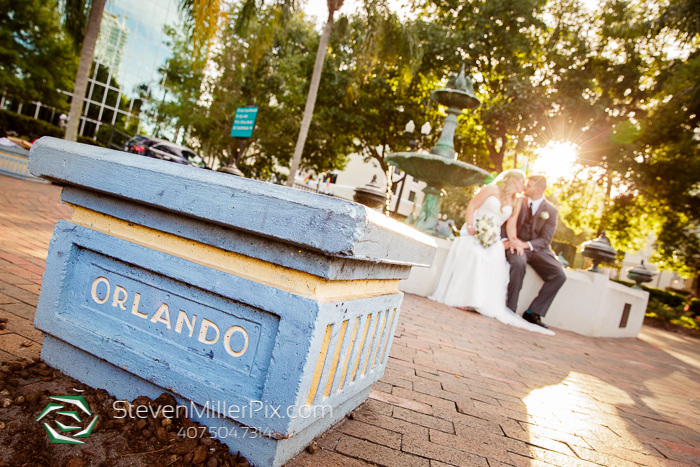 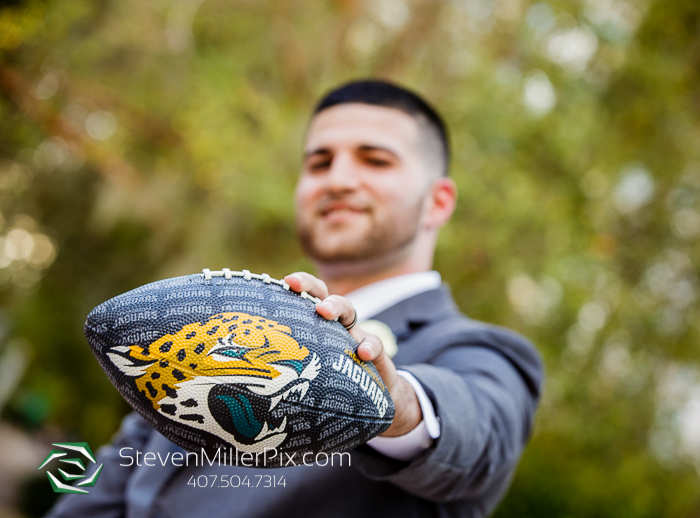 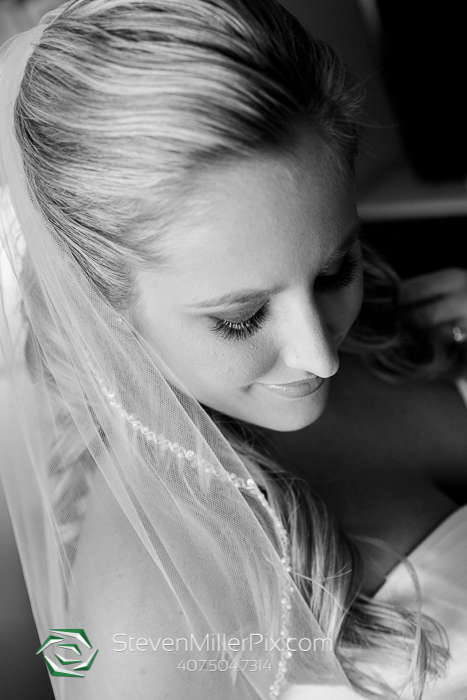 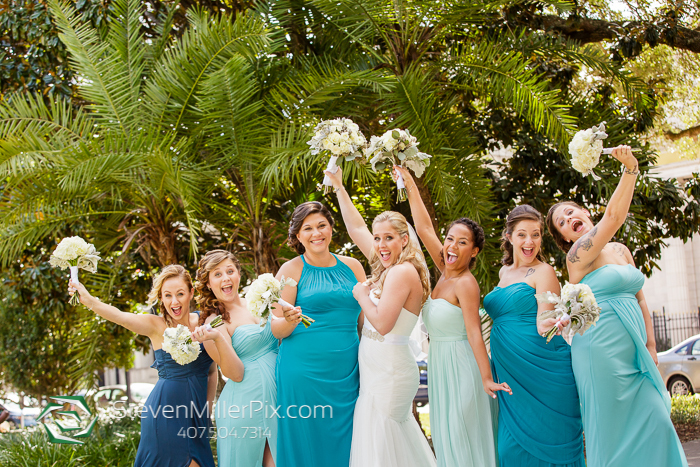 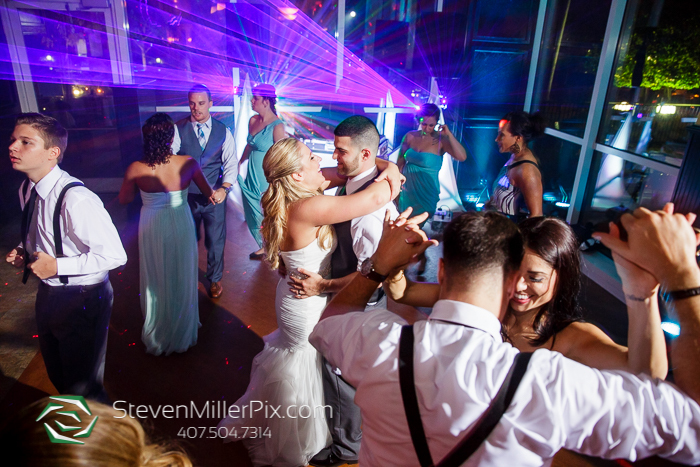 We had quite an amazing day capturing Tiffany and Dan’s wedding in Downtown Orlando recently!! 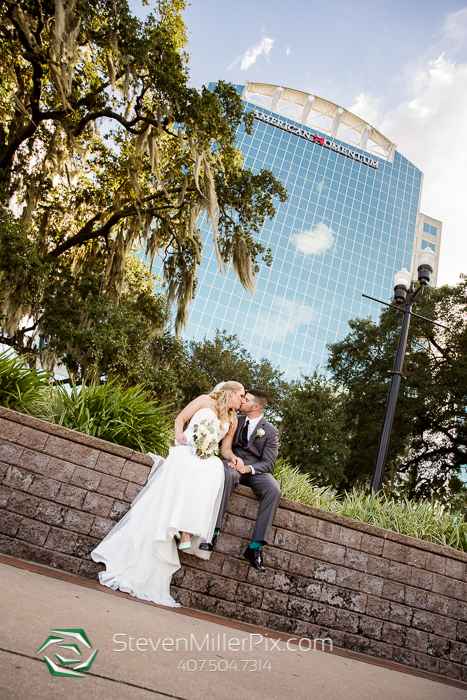 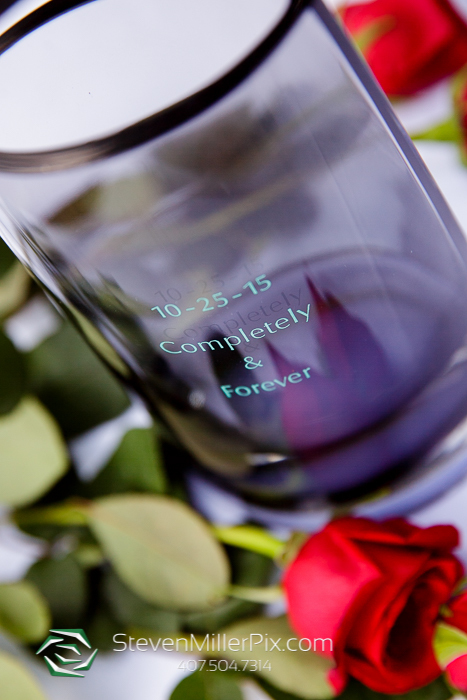 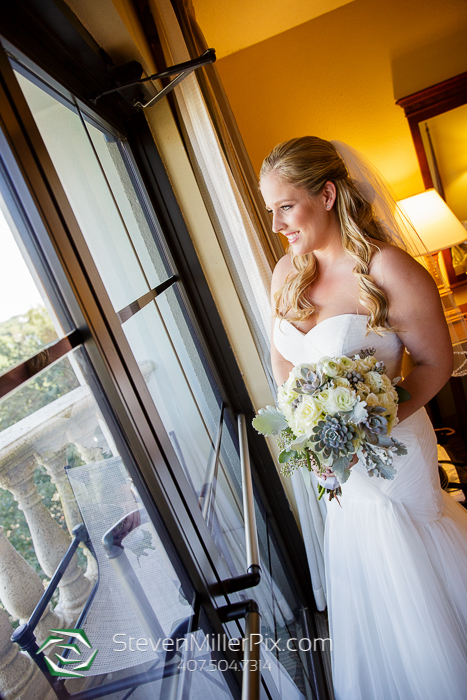 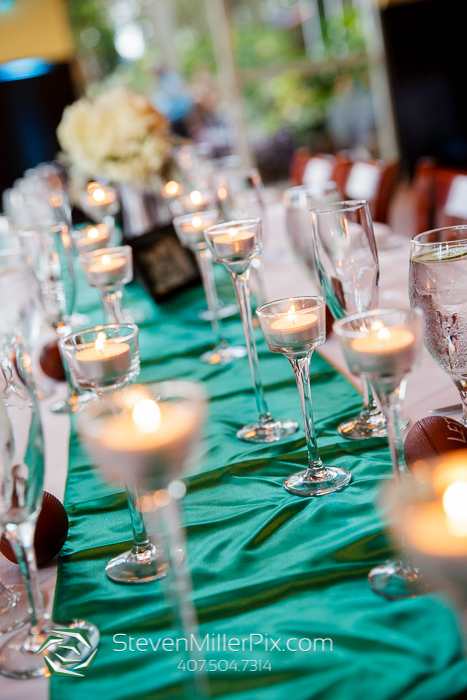 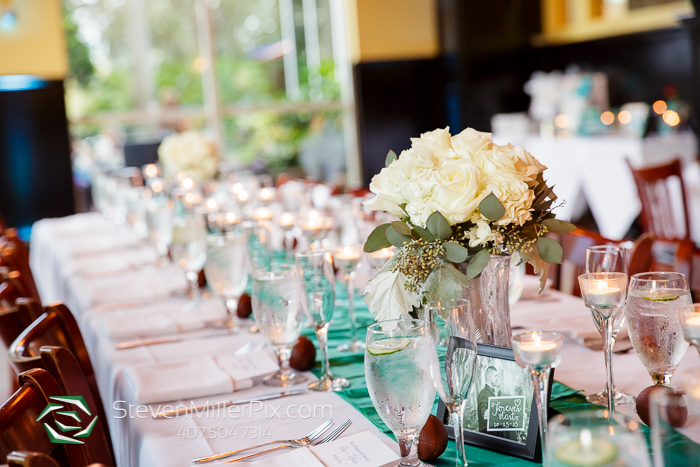 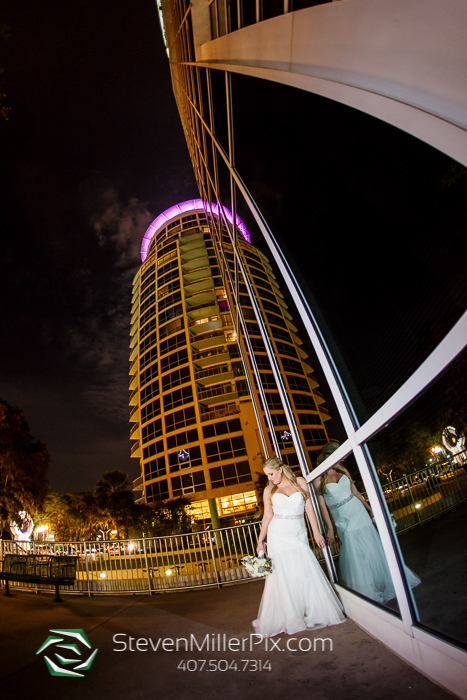 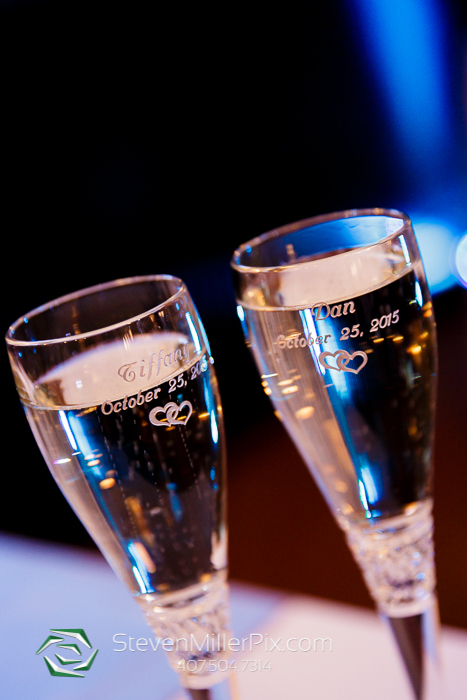 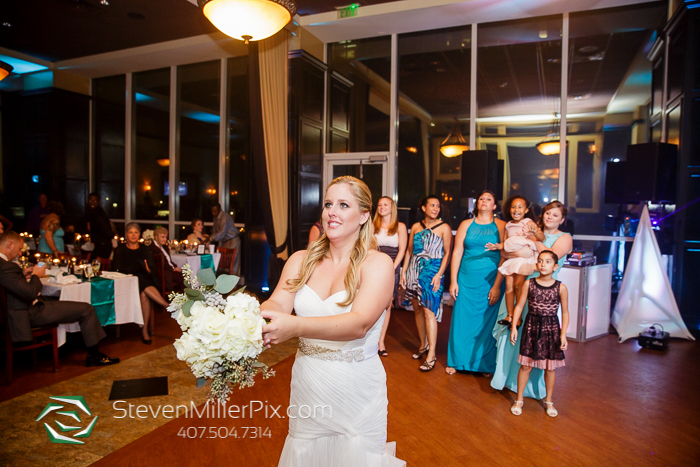 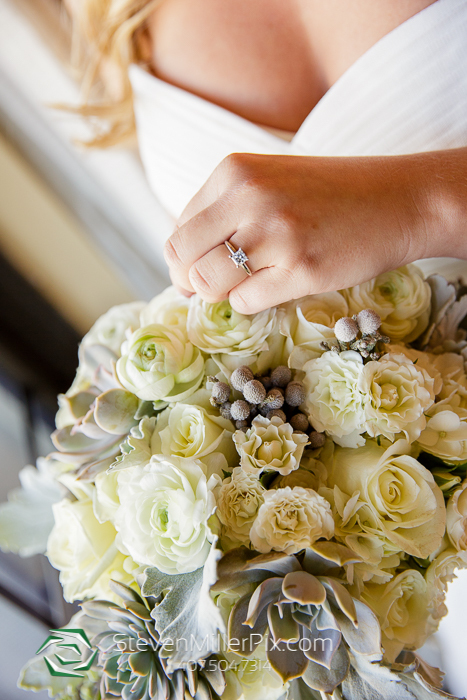 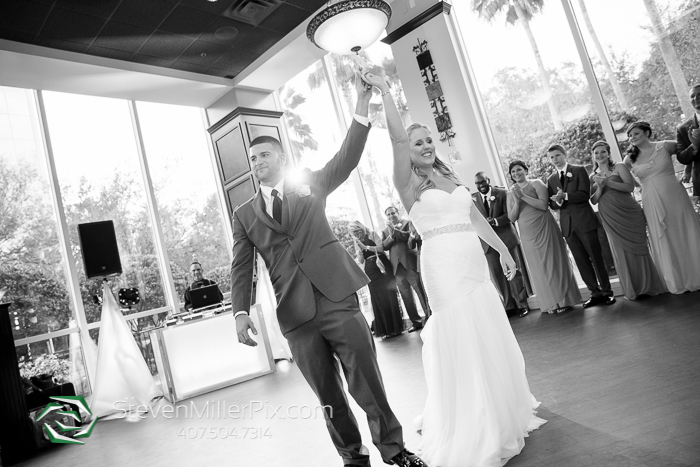 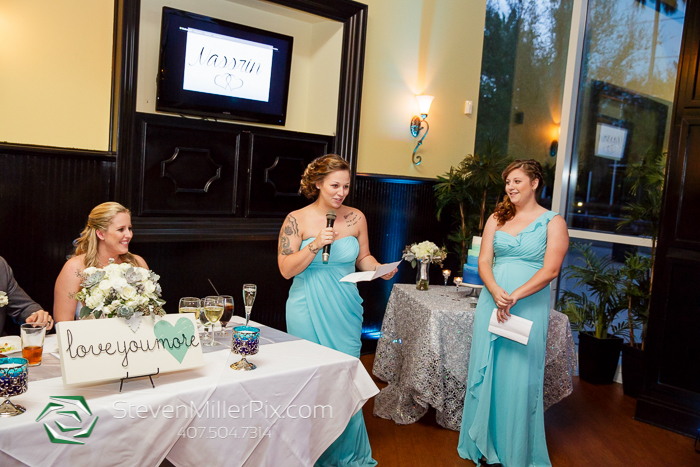 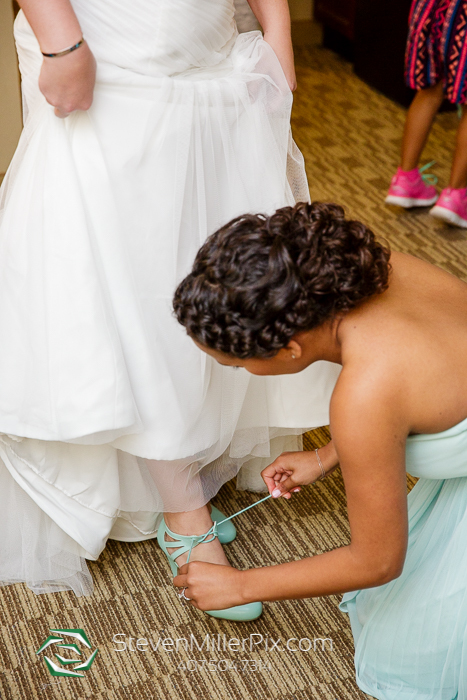 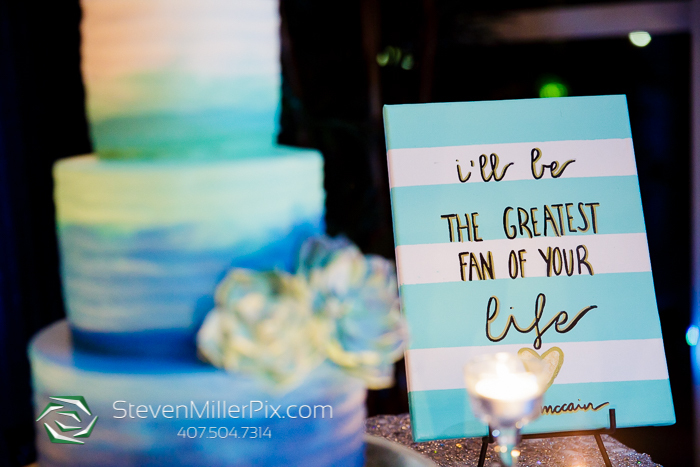 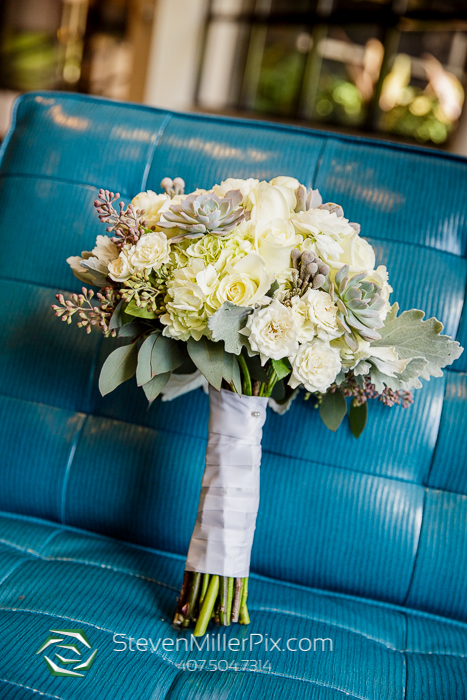 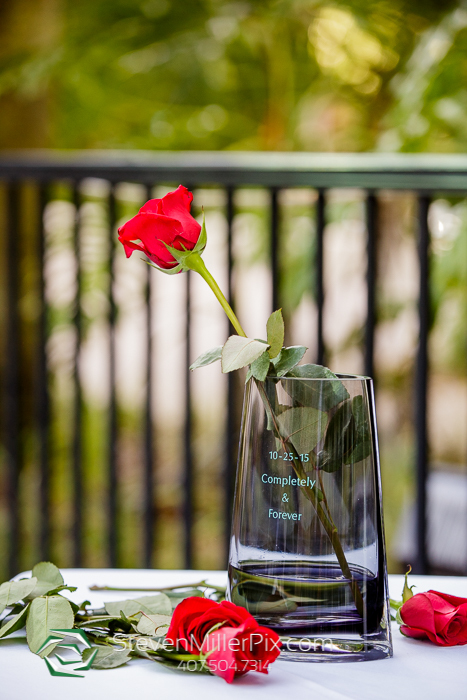 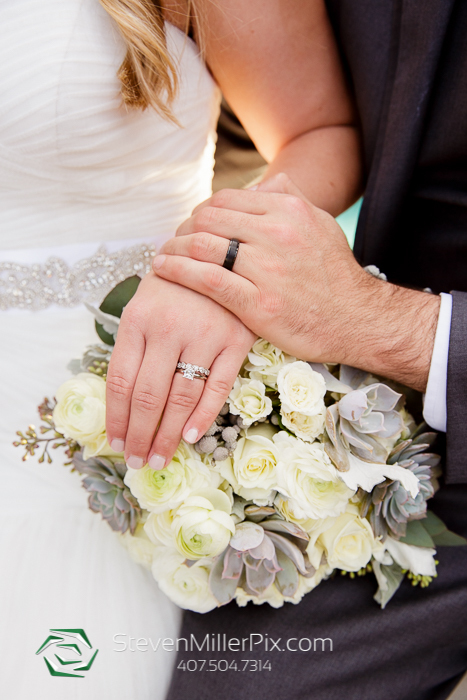 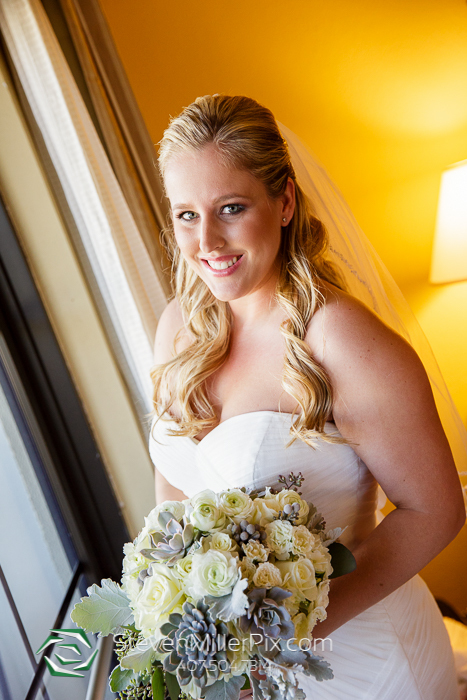 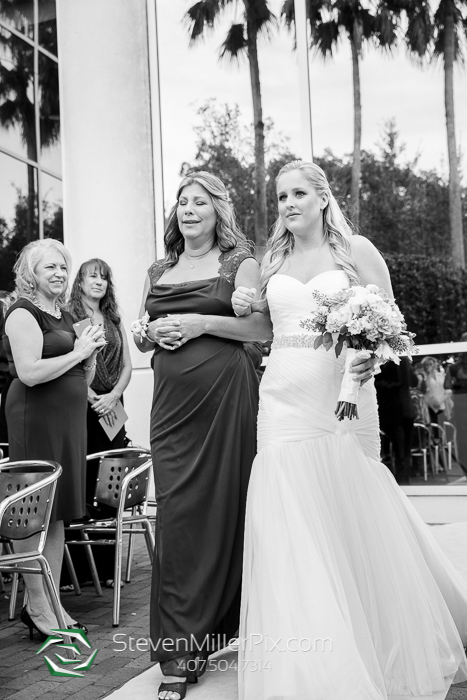 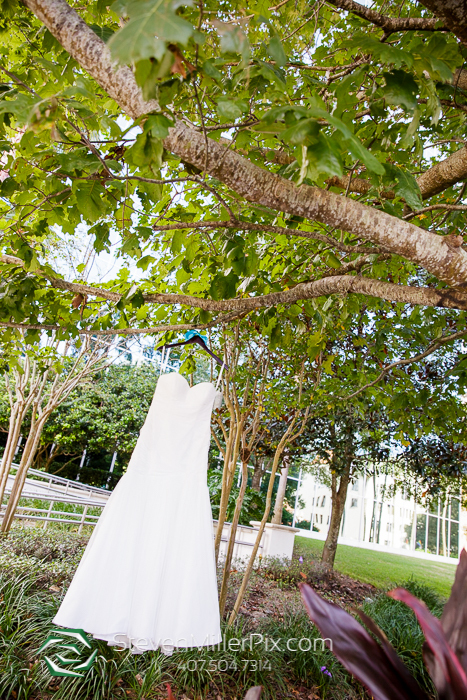 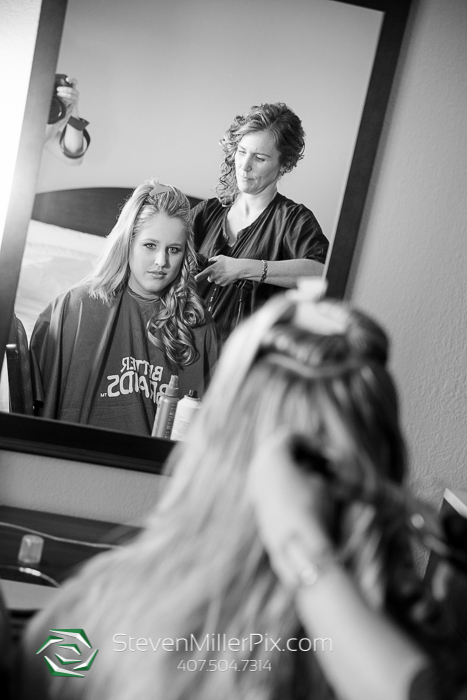 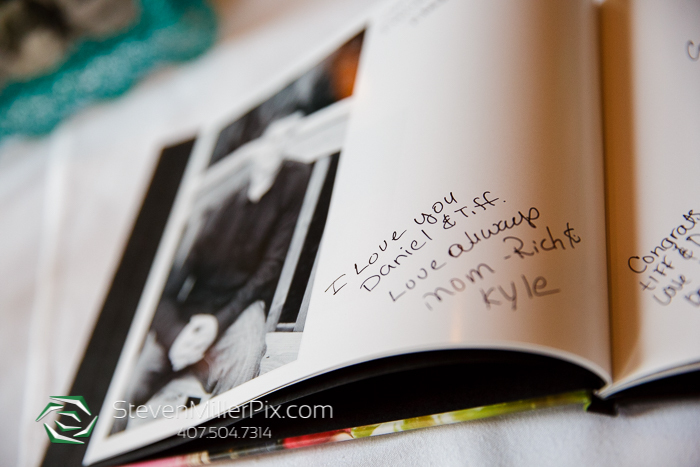 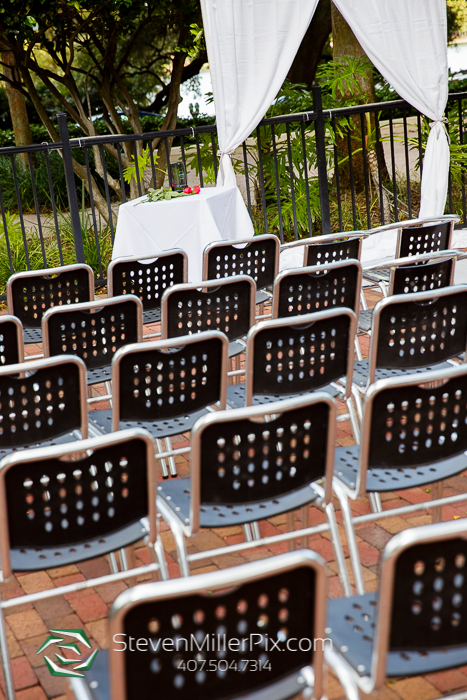 Tiffany and Dan tied the knot at 310 Lakeside right on Lake Eola in Downtown, but preparations actually began at the Embassy Suites in Downtown Orlando. 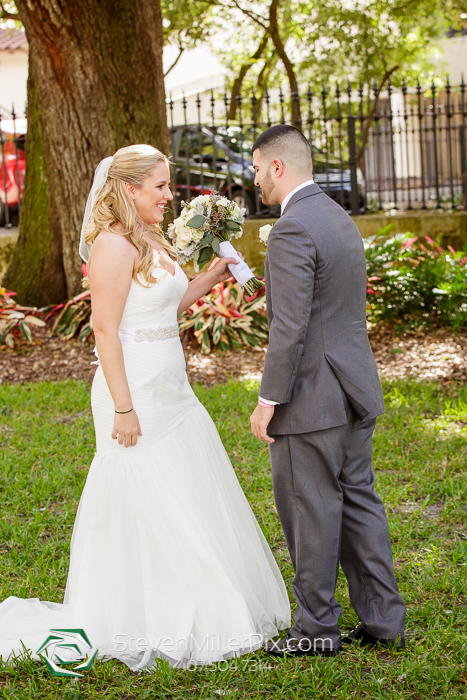 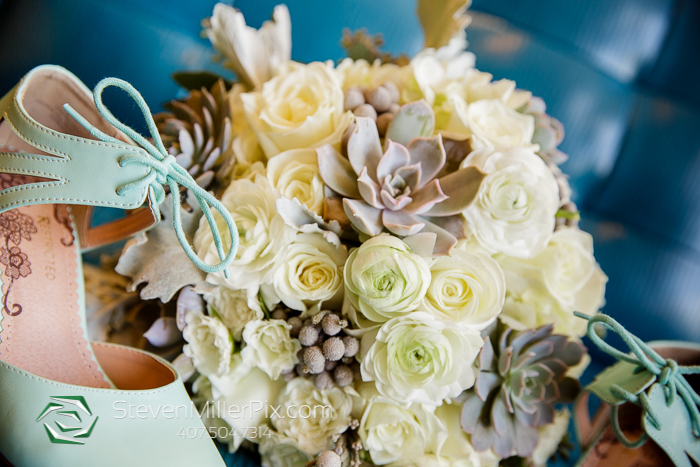 LeJeune Artistry provided the bridal makeup services, and the beautiful floral arrangements were created by Florida Flowers! 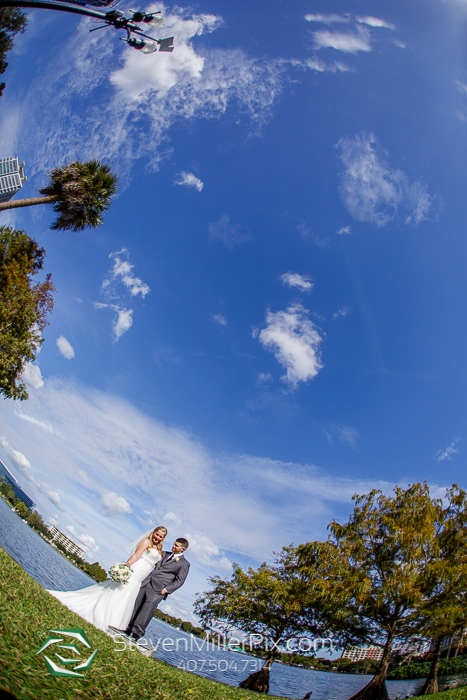 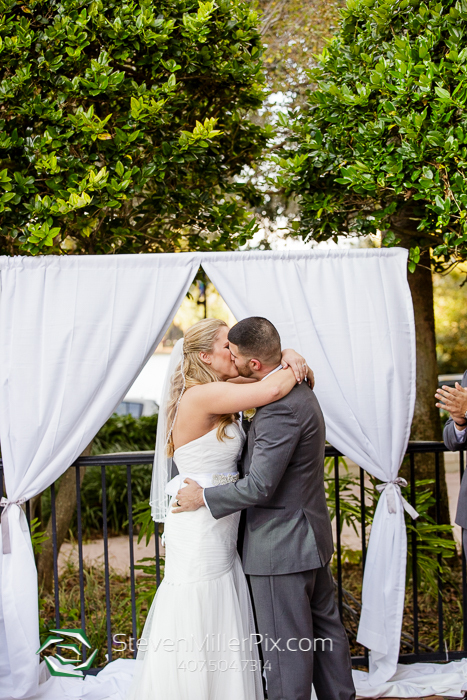 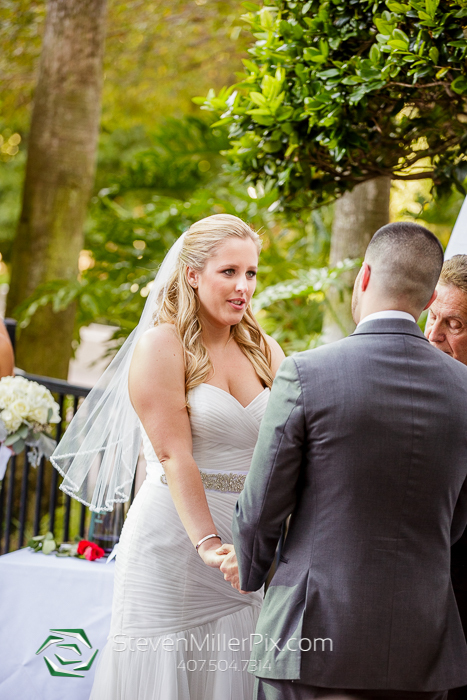 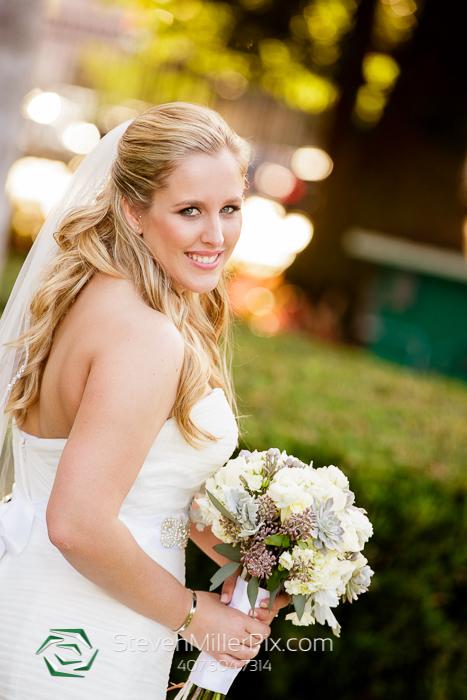 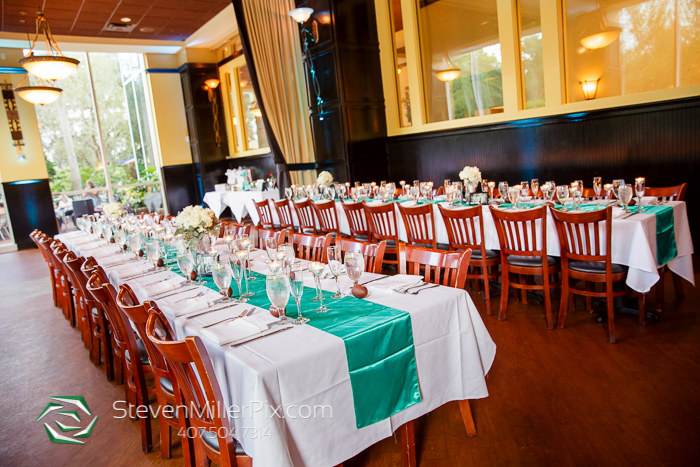 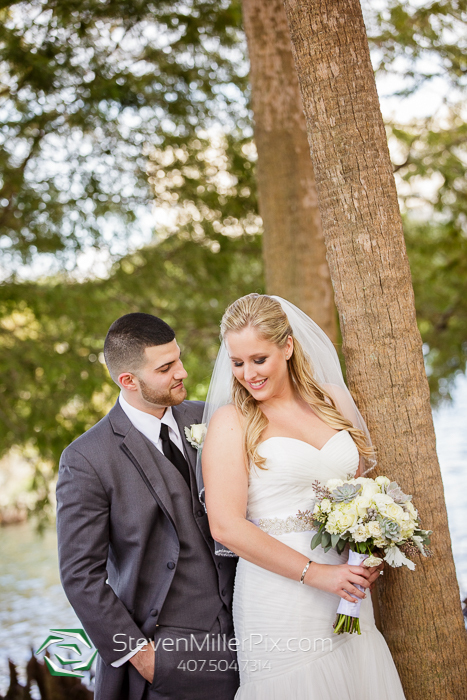 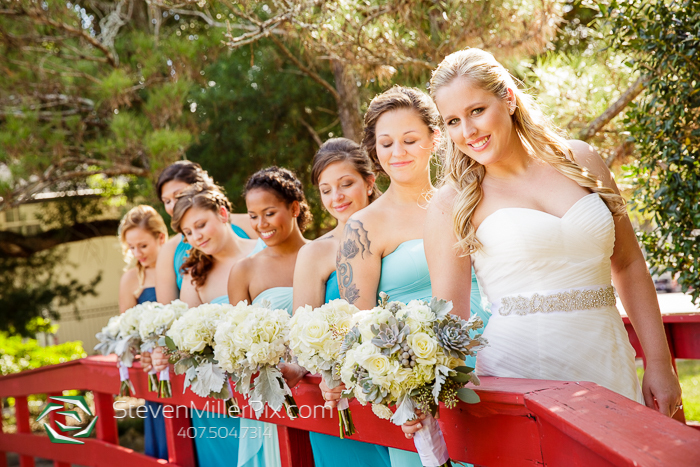 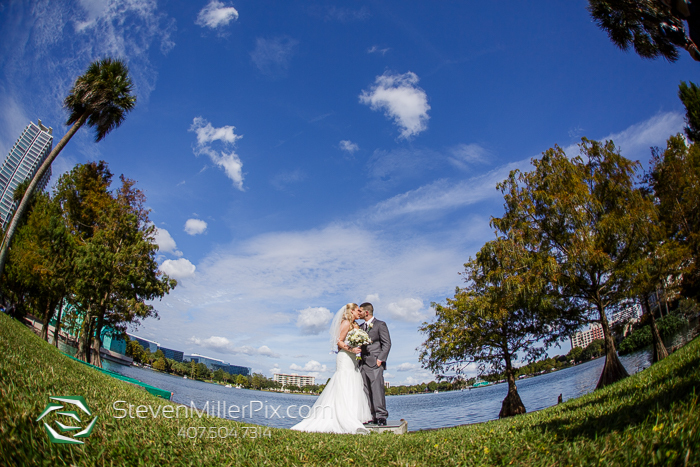 Once Tiffany was ready, we met Dan and the guys at 310 and set him up for their intimate first look right on Lake Eola! 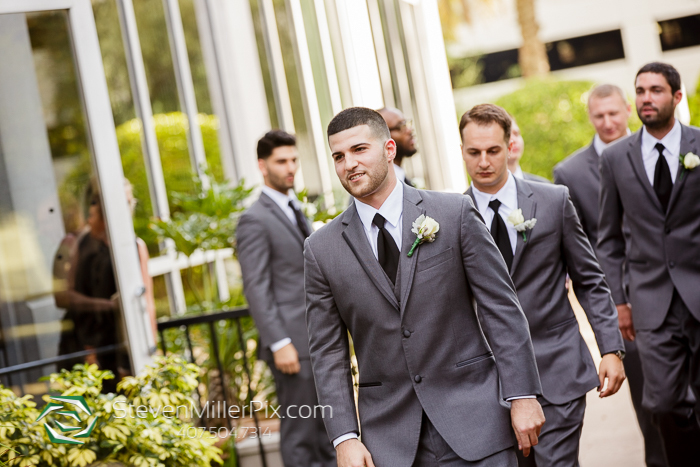 Tiffany snuck up behind Dan and tapped him on his shoulder. 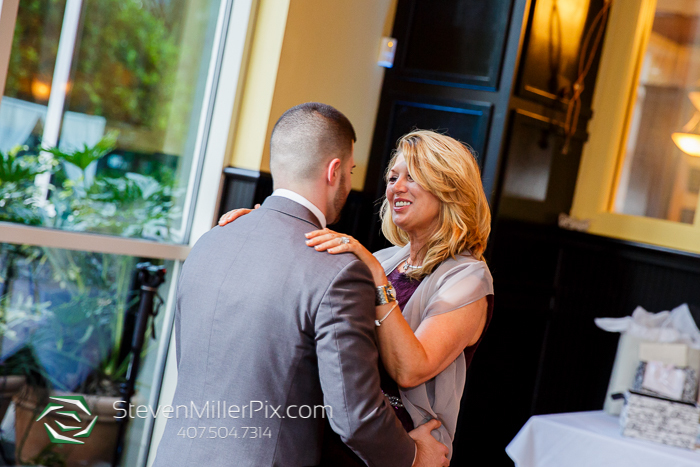 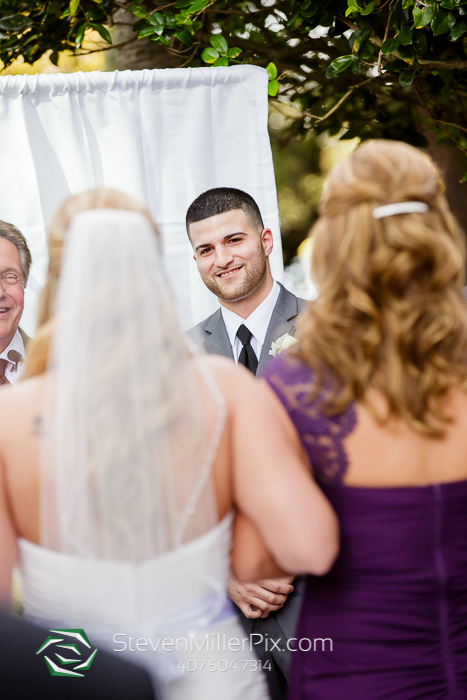 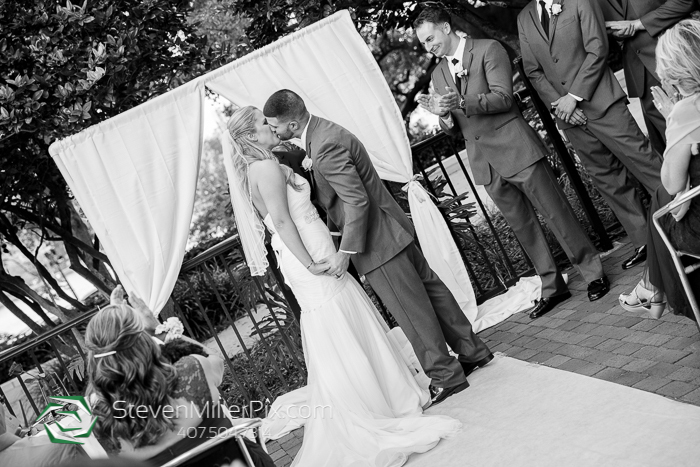 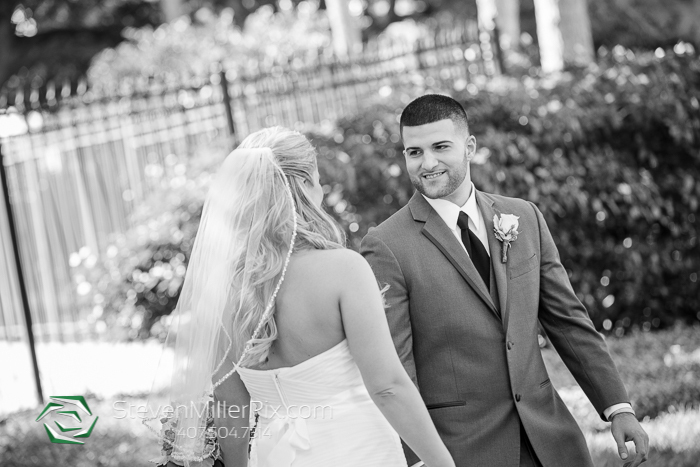 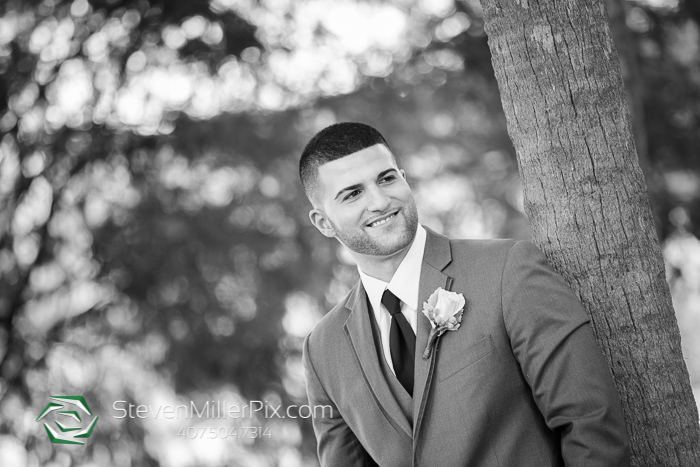 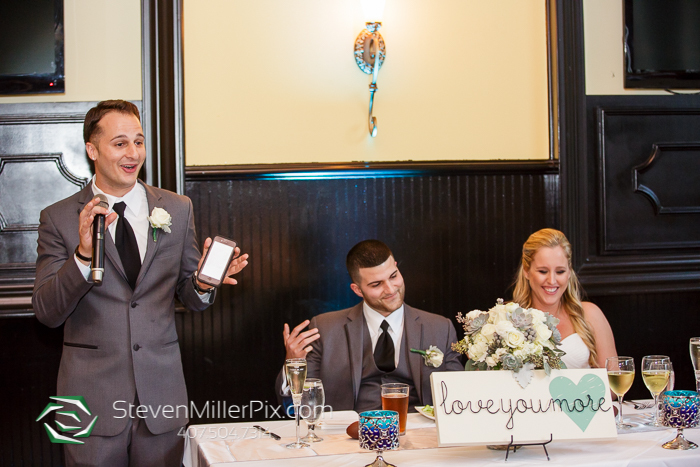 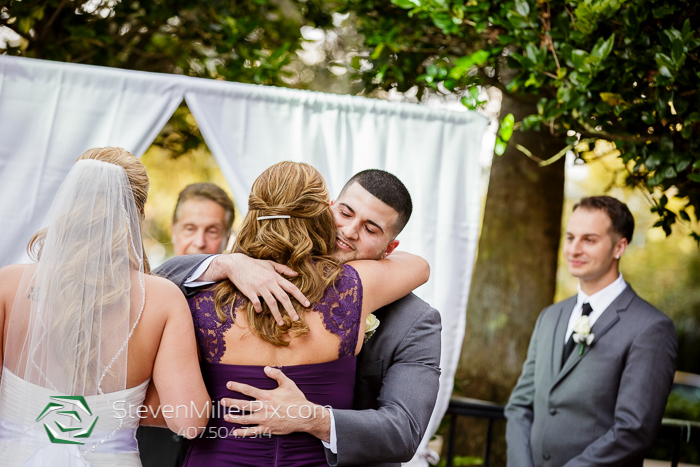 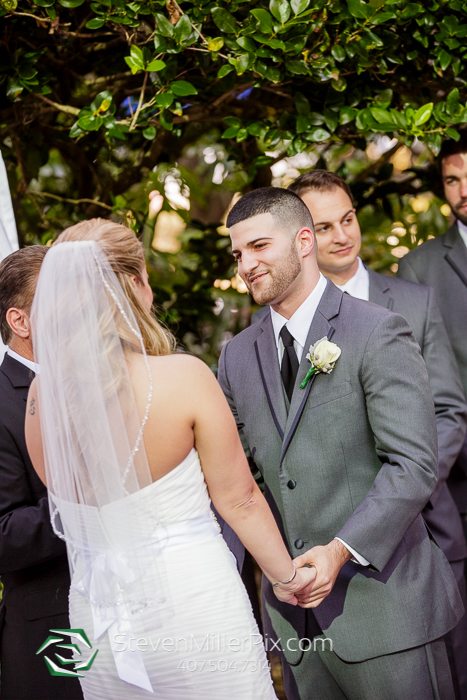 He turned around to see his beautiful bride for the first time on their wedding day, it was quite a sweet moment! 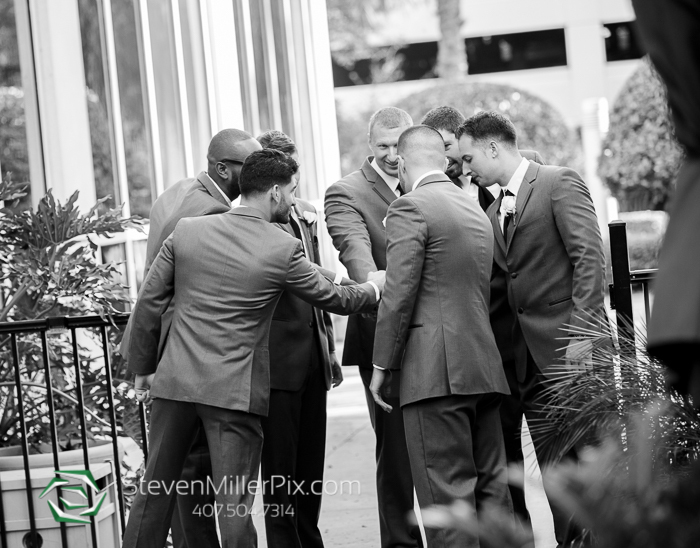 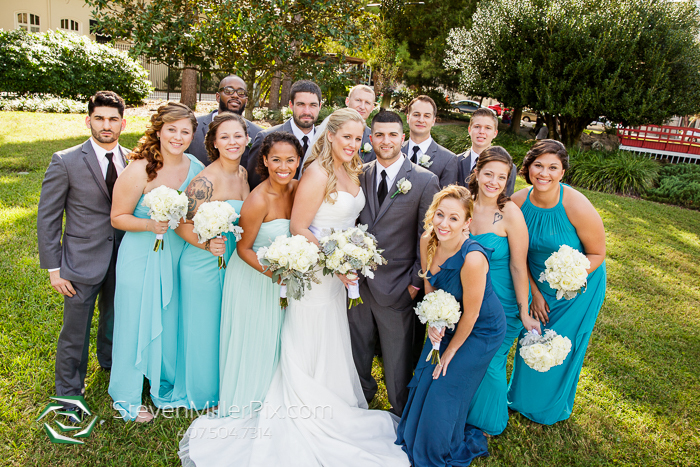 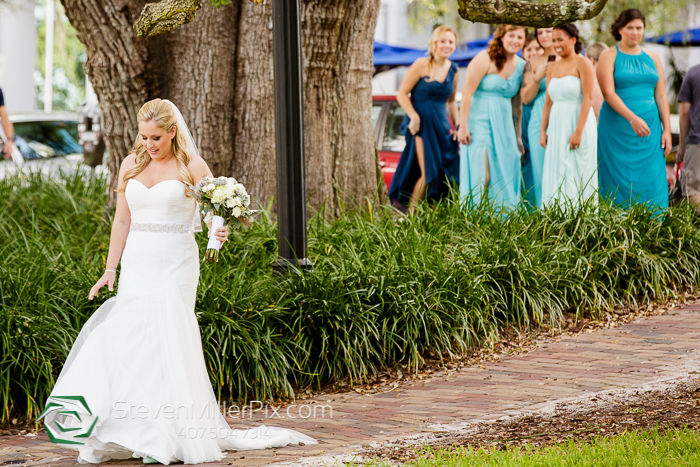 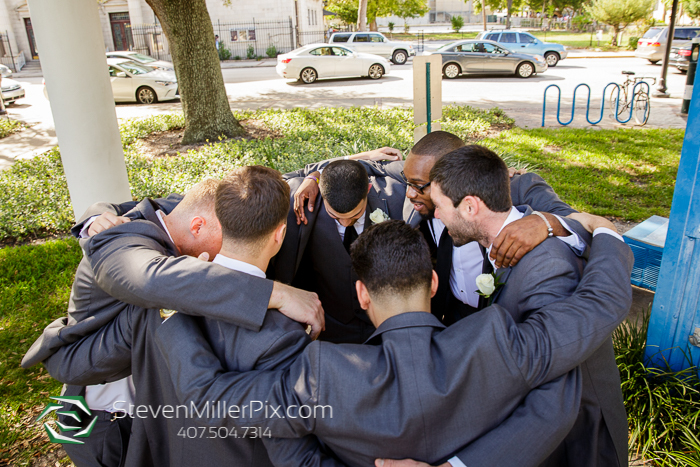 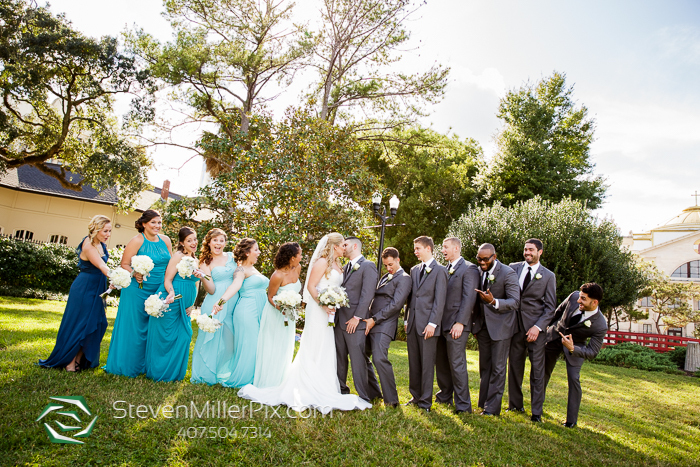 We captured their bridal party and personal portraits around Lake Eola, then returned to 310 Lakeside for their outdoor courtyard ceremony! 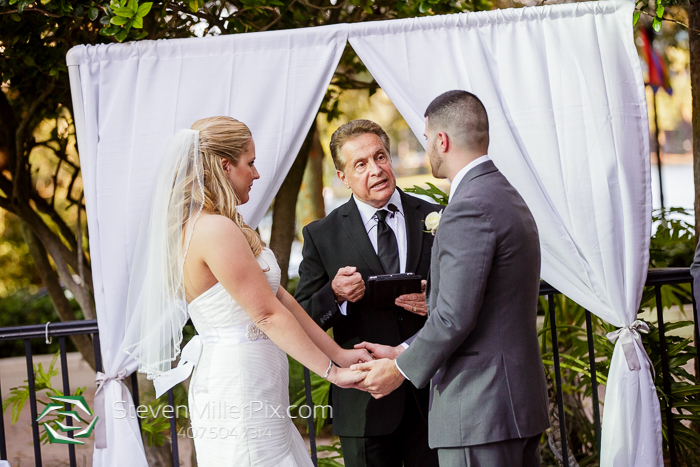 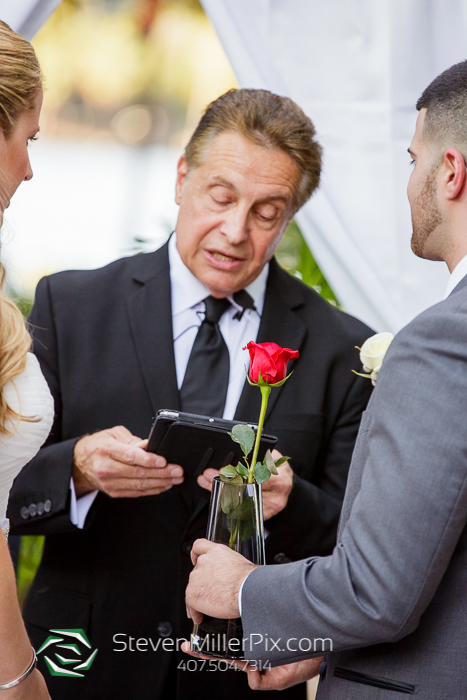 Lon Tosi of Sensational Ceremonies officiated their beautiful ceremony, and tied the knot with an exchange of roses and of course the kiss! 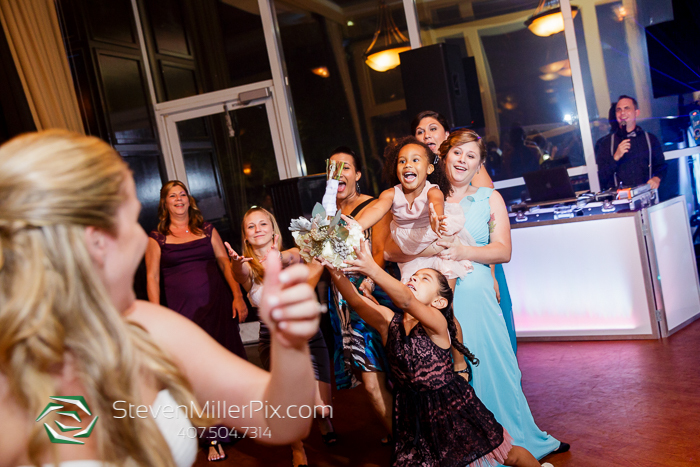 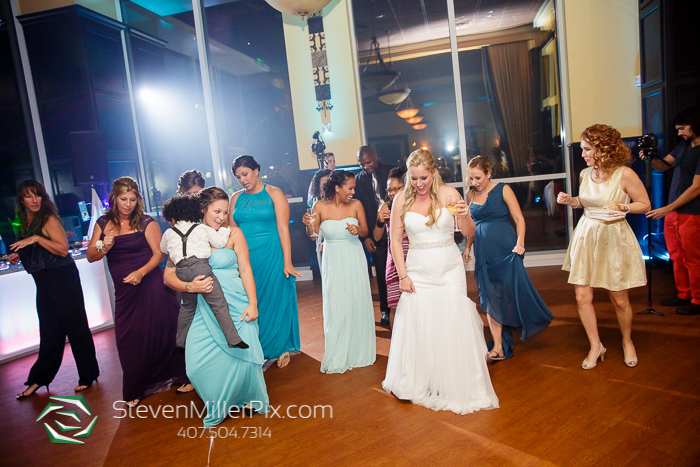 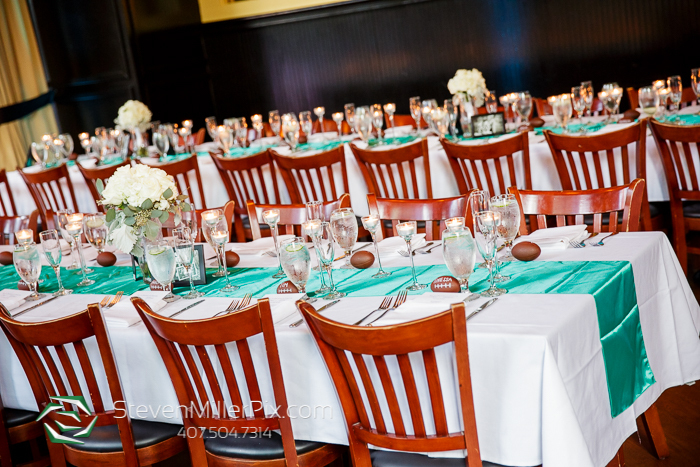 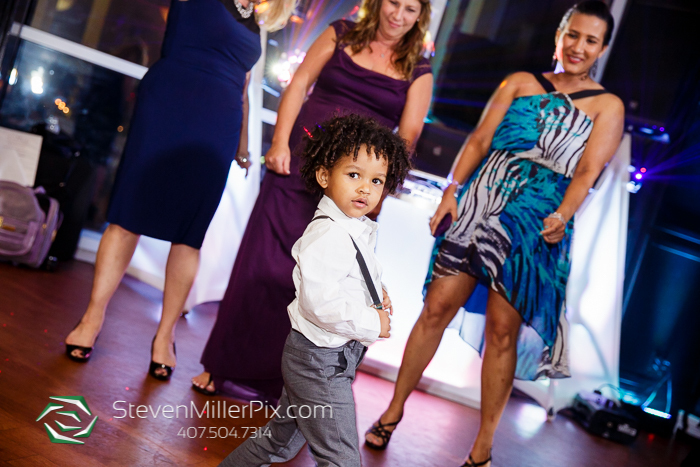 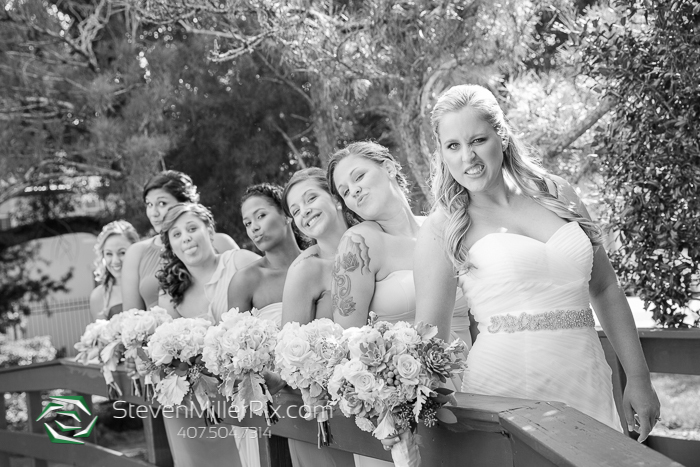 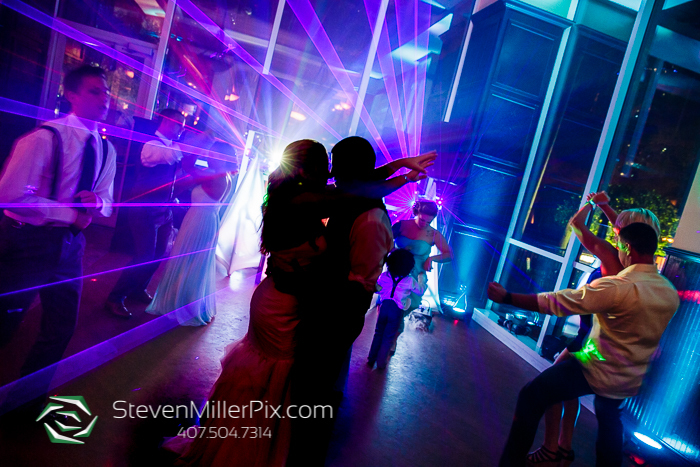 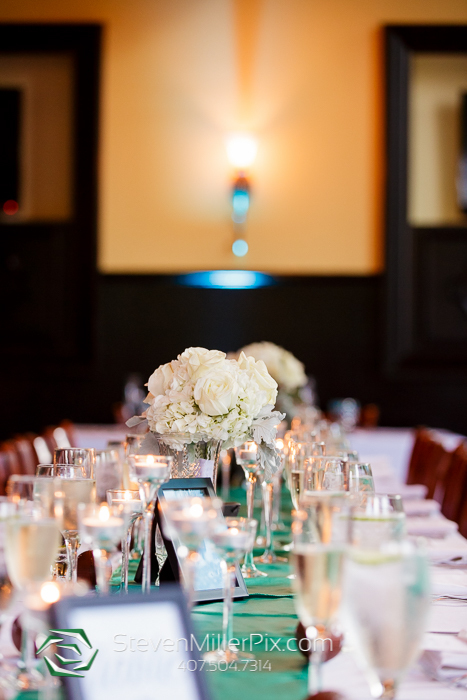 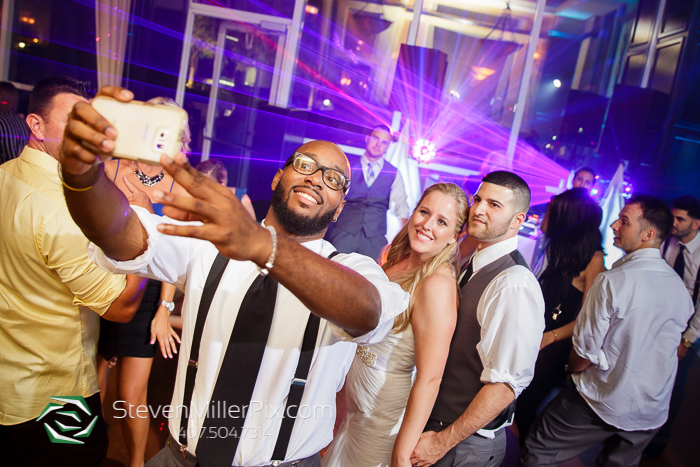 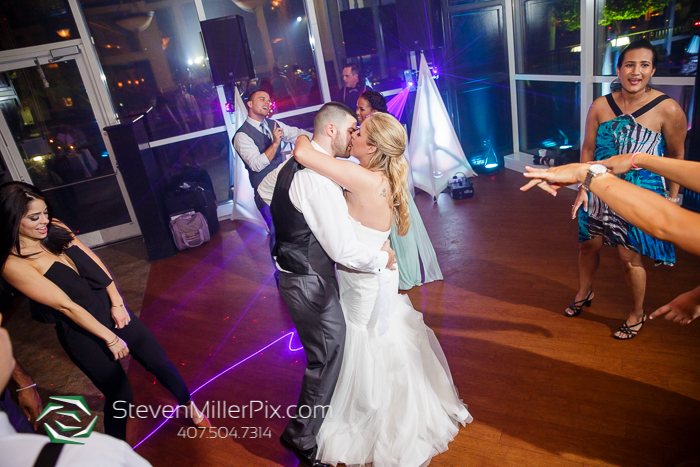 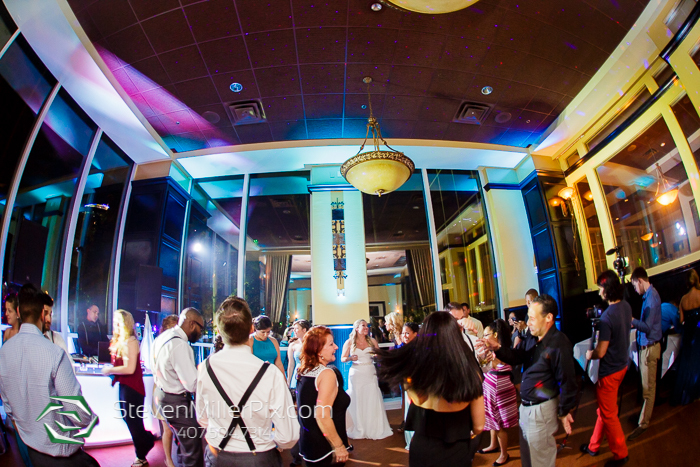 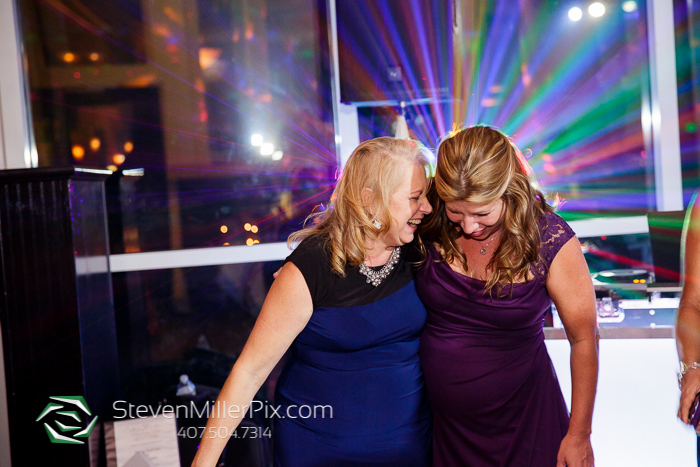 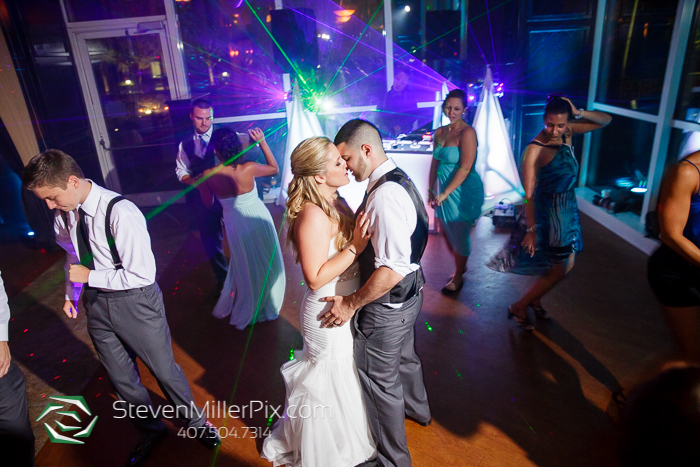 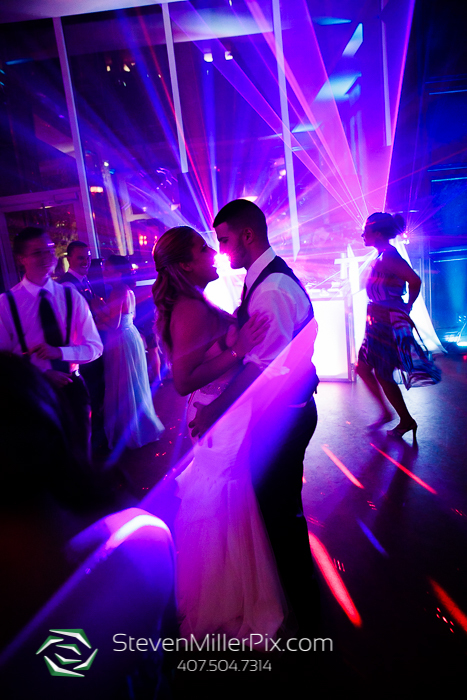 Their indoor reception followed, with DJ Shawn of SubSonic Event DJs rocking their dance floor and lighting up the room! 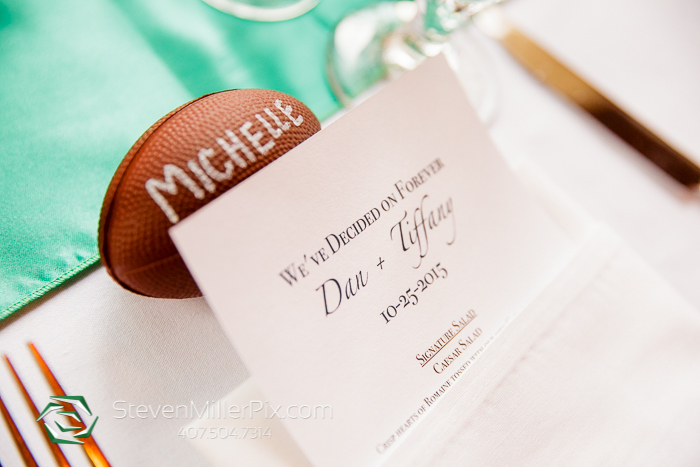 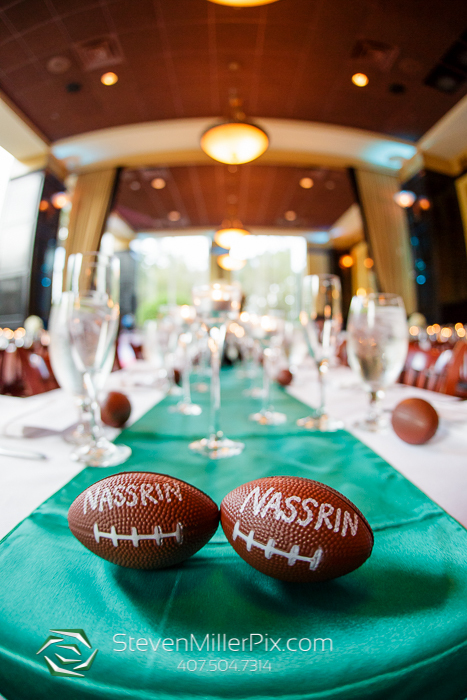 From the decor, can you tell that they loved football?!?! 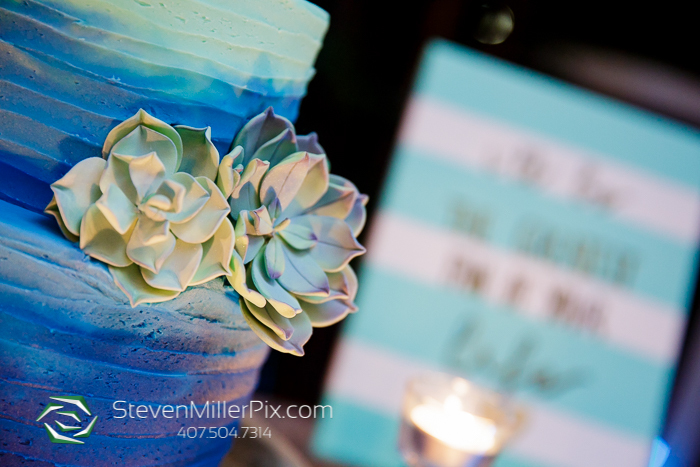 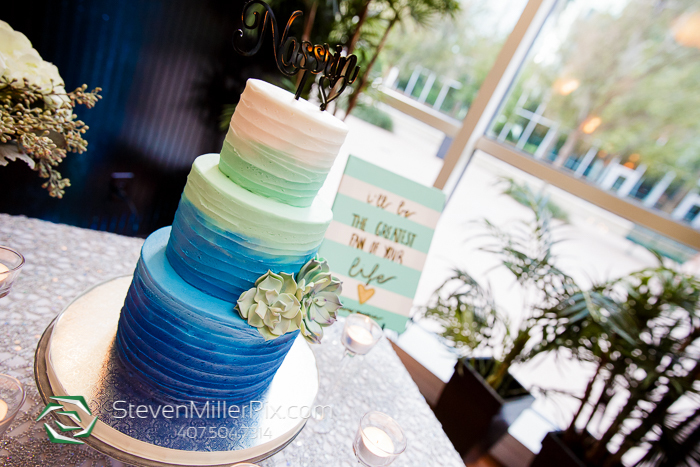 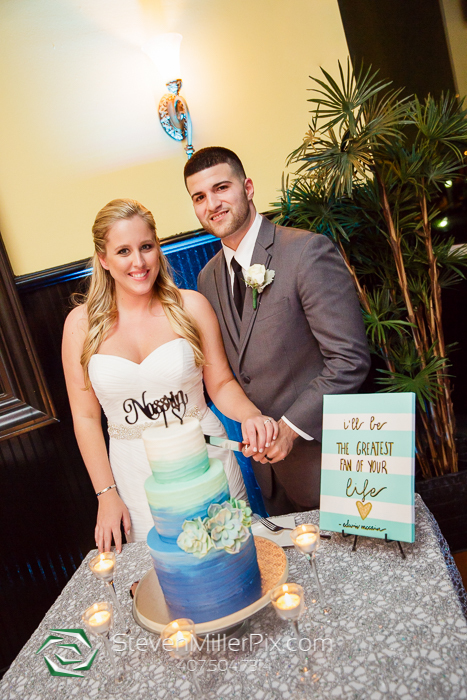 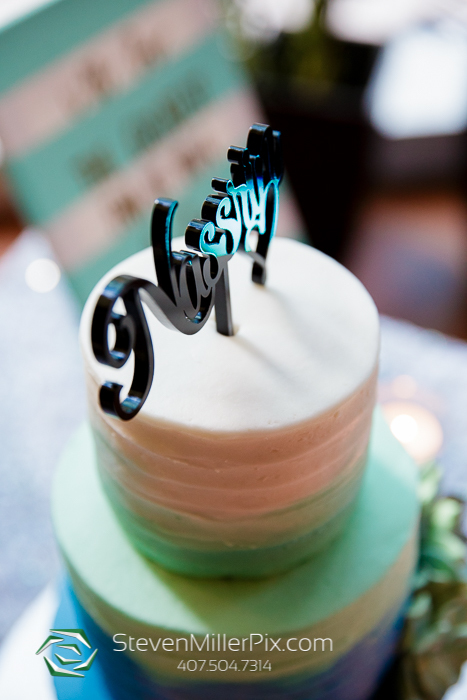 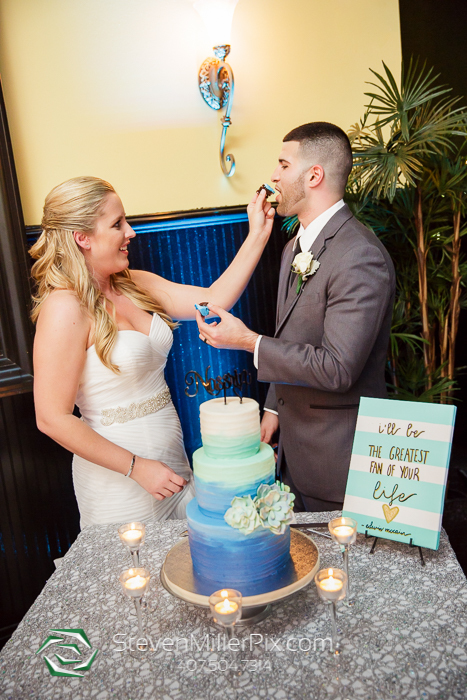 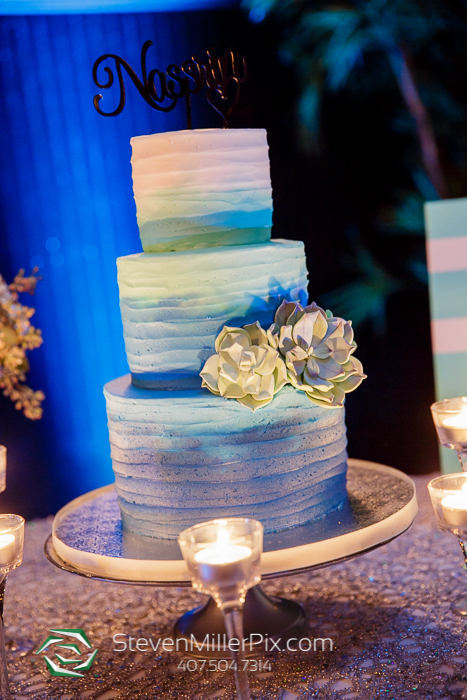 310 Lakeside catered the delicious food, and Sprinkles Custom Cakes designed their beautiful wedding cake! 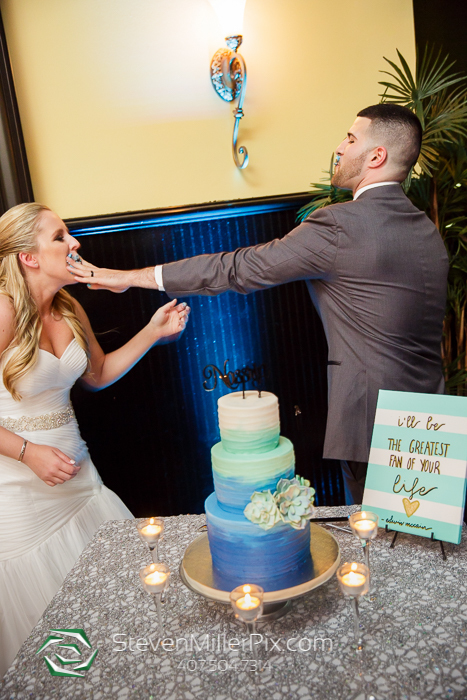 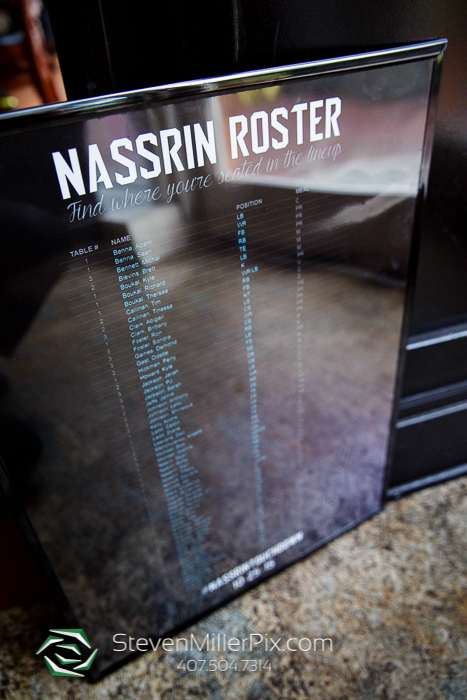 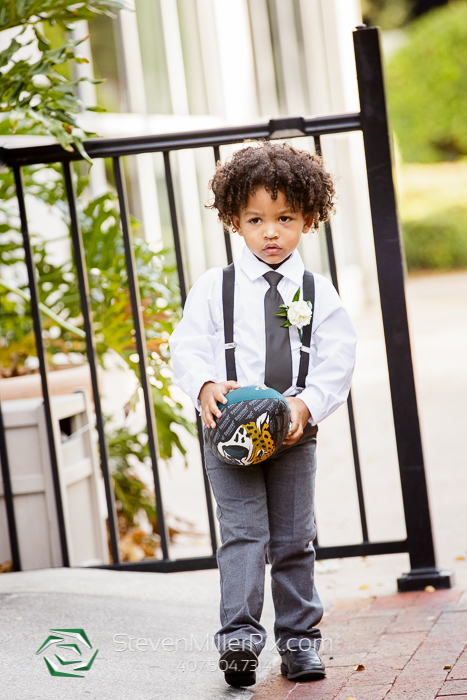 We had the pleasure of working alongside Beyond Videography who provided video services, and of course a special thanks to Nicole and her amazing team at Nicole Squared Events who provided flawless wedding planning and coordination throughout the day!! 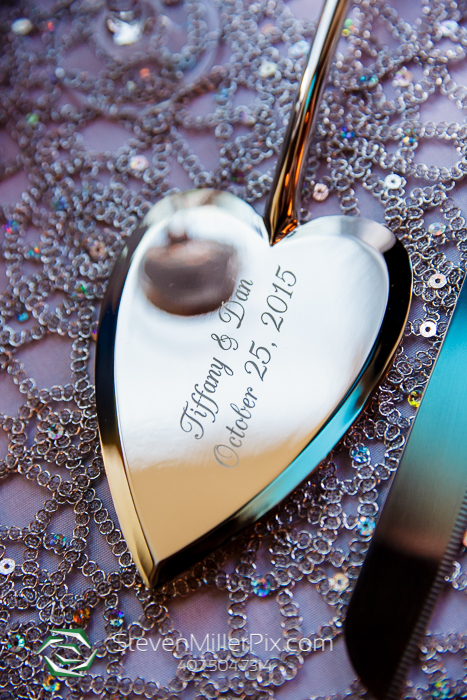 We had an absolute blast with Tiffany and Dan, and we wish them both the very best!! 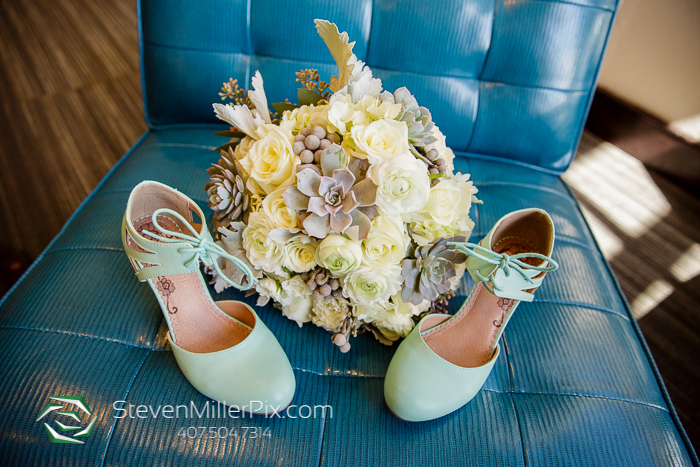 Loving thise shoes still!! 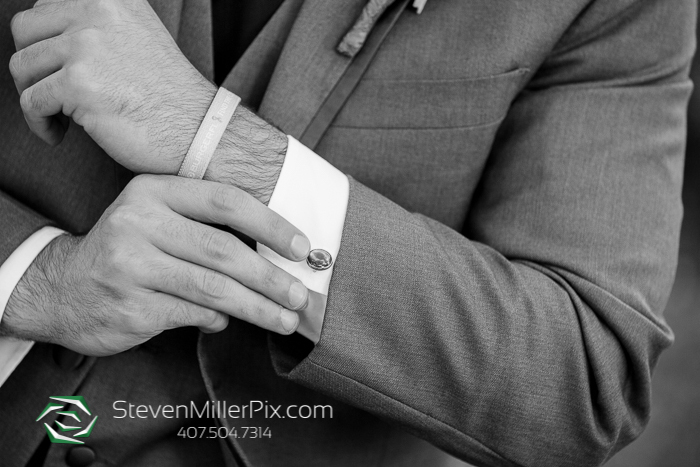 Great job Steven!